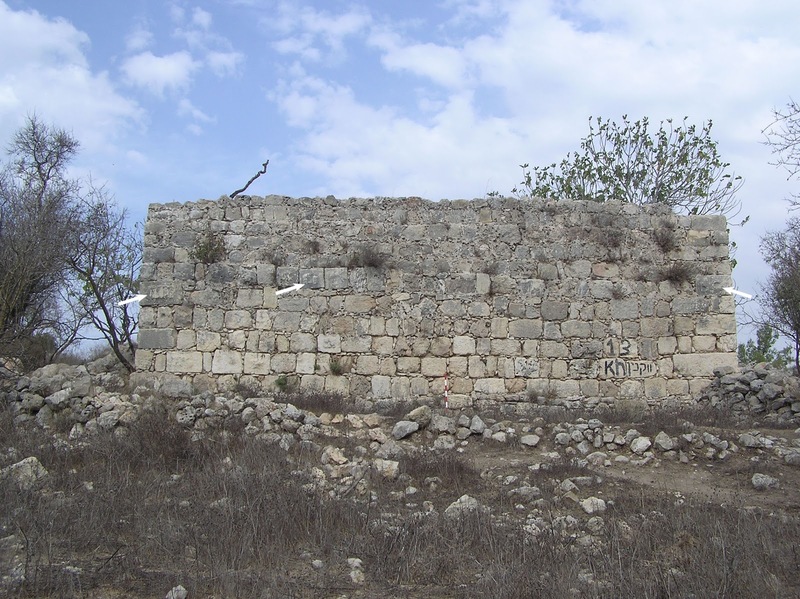 The size of the mosque is 12.70 x 6.90 m. What’s left of the south wall is three meters high, of the north wall – one meter; the two other walls are simply a pile of stones. The northern wall adjoined to a vast courtyard, the outline of which is still visible today. 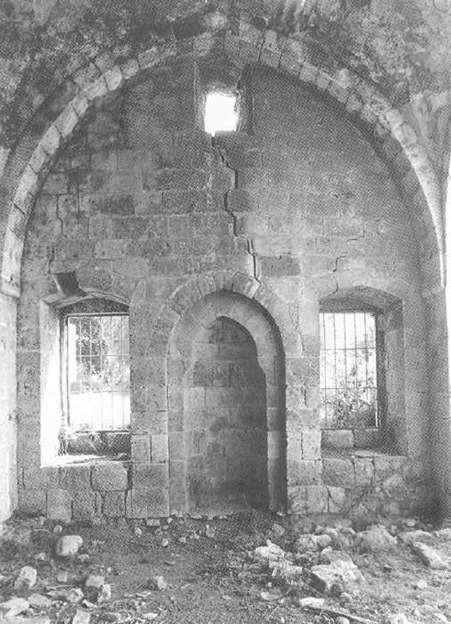 Mihrab in the south wall is built of large blocks, forming a pointed arch, but without the usual, in such cases, keystone. 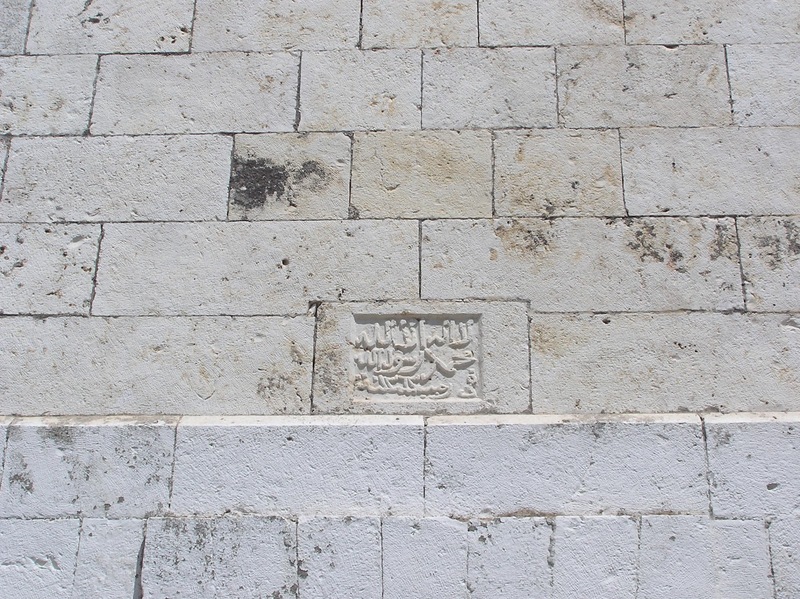 According to A. Petersen, the wall is built out of reused limestone blocks the entrance (2001, 105). We should point out that the mosque of Abu Mizar in the terms of the material and the type of masonry is very similar to the mosque on Khirbet Kafr Sum. It also dates back to the Ottoman period. After 1948 Israeli settlement Beit Dagan appeared on the place of Palestinian Arab village Beit Dajan. The abandoned mosque of Beit Dajan was stuck between houses built on the ruins of a Palestinian village. 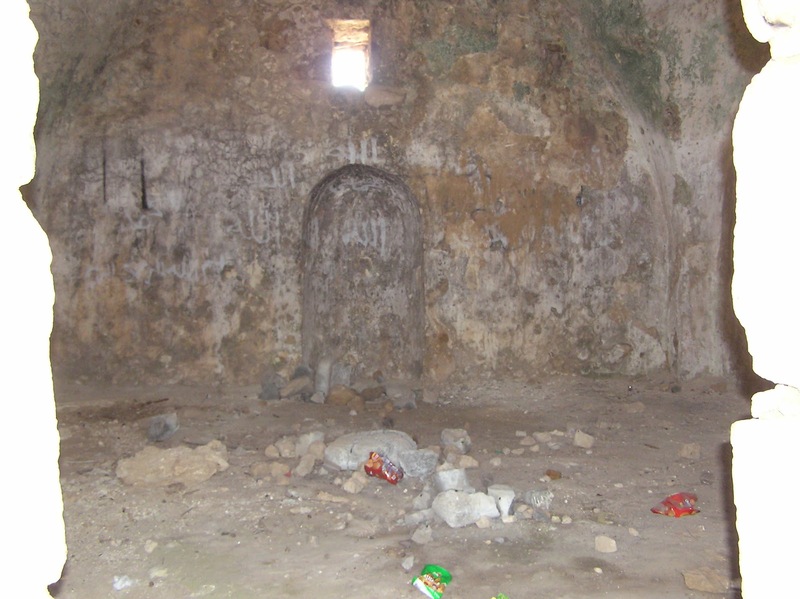 We were not able to get an answer from the locals: What is now inside the former mosque? What is thr purpose it is used for? Nobody was interested wit our inquiries. No door or entrance is observable to come into the blocked building. We only can mention that the mosque has the same proportions. No significant rebuildings were made. A squat white dome in the western part of the building and narrow windows in the E wall – that is all the details which mark ancienty of the structure. 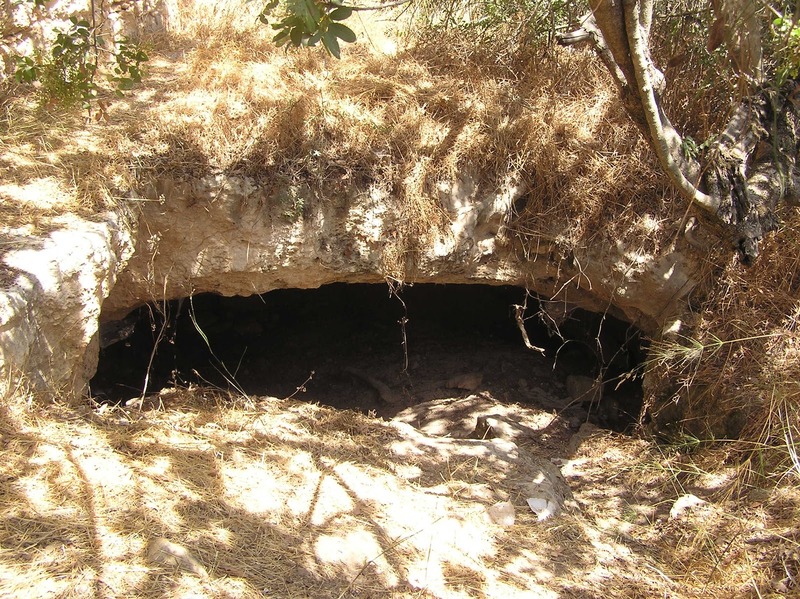 The Quaterly Statement (1895) describes Beit Dajan as follows, “The village has five Jawame, or praver-houses: East: Sidna Sa‘ad el-Ansar. In centre: Jame el-Sheikh Marzuk. West: Jame‘ Ahl el-Ghad u Sa‘adwa Se‘ed wa Se‘ed. North: Jame Muhamet el-Zawani. 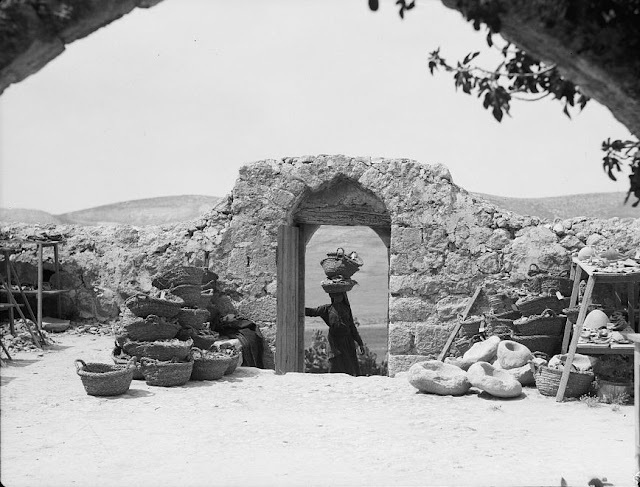 East: in the cemetery, Sheikh Ethman” (XXVII 116). 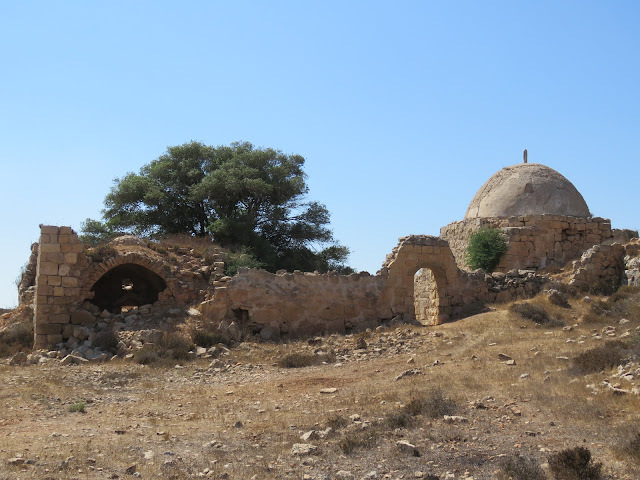 As the mosque we studied was located in the eastern part of the former Beit Dajan, it can de identified with Sidna Sa‘ad al-Ansar. The Quaterly Statement called it “a new mosque”. Probably, only this mosque out of five mosques or prayer houses. M. Sharon commented another mosque, Jame‘ Ahl al-Ghad, “In the archives of the IAA, there is a summary report from 20 March 1947, which describes the village and the archeological material found in it since 1927. 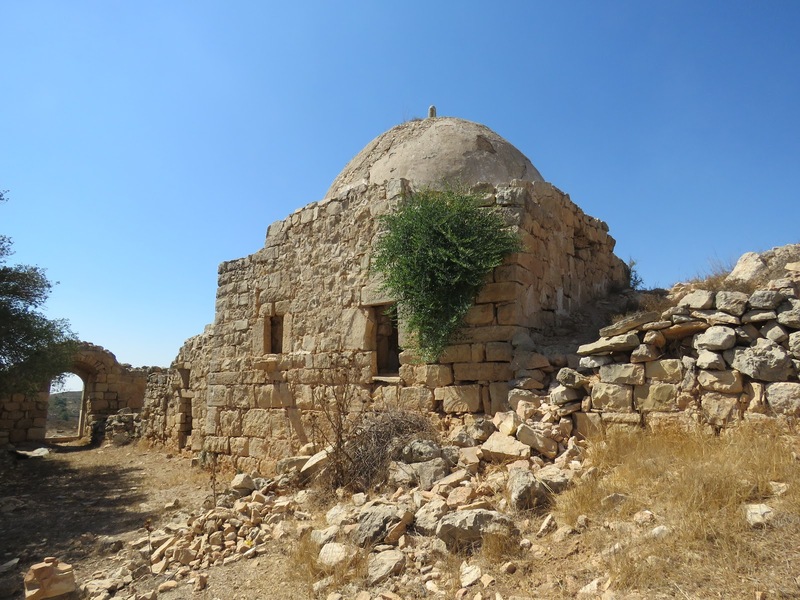 Among other information, the report speaks about the Friday mosque in the village of Bayt Dajan called Jami‘ ‘Abd al-Ghar. On the west side of this mosque there was a crypt or underground cell allegedly containing the grave of Saint... "At the comer (there is) a grave of a saint with an Arabic (cursive) inscription of 12 lines. Dimension of slab: 73cm. x 37cm." 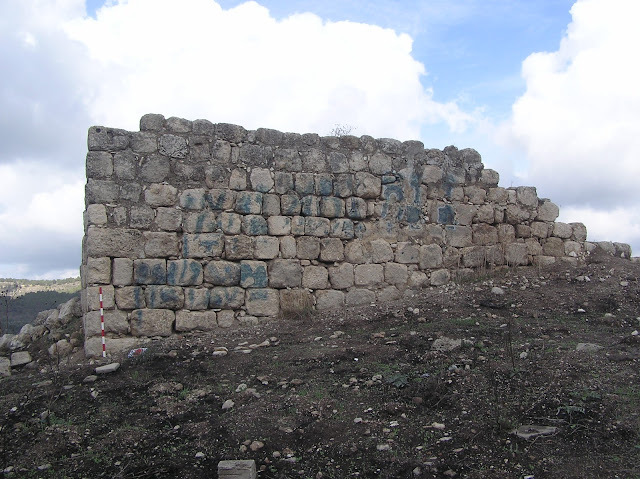 (IAA (РАМ) archives "Beit Dajan," ATQ/722) This inscription was not found” (Sharon, CIAP II 90). See the link about archeological researches in Beit Dagan. Route. 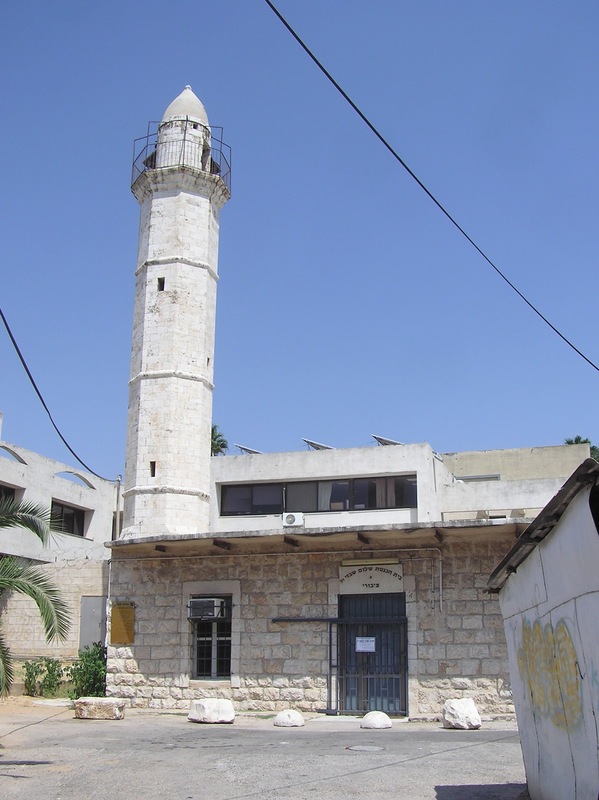 The mosque is located in the centre of Beit Dagan. 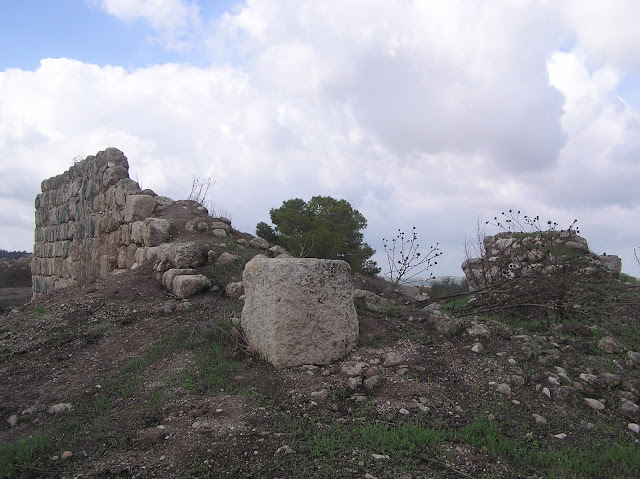 The data about Khirbet Kafr Sum (situated in the Judean Mountains) is discrepant. 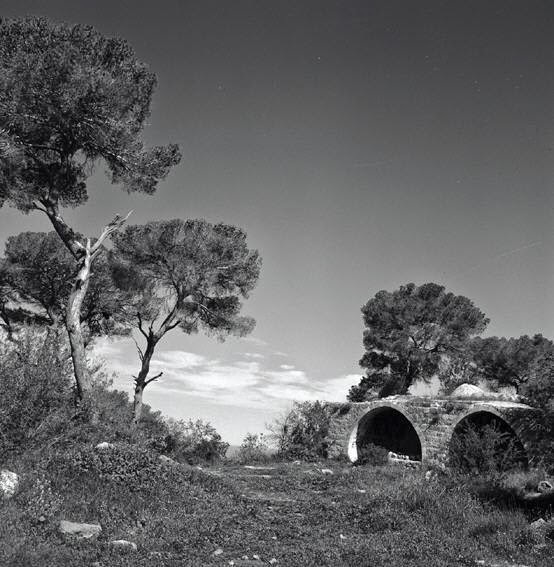 V. Guérin, who visited it in 1863, described it as deserted “There a lot of rickety houses, which are built of small, almost unhewn stones, near one waly, which stands in the shade of a mulberry tree of several hundreds years old. Not far from it there is a semicircle swimming pool, built in a crude way” (Judee II 383). 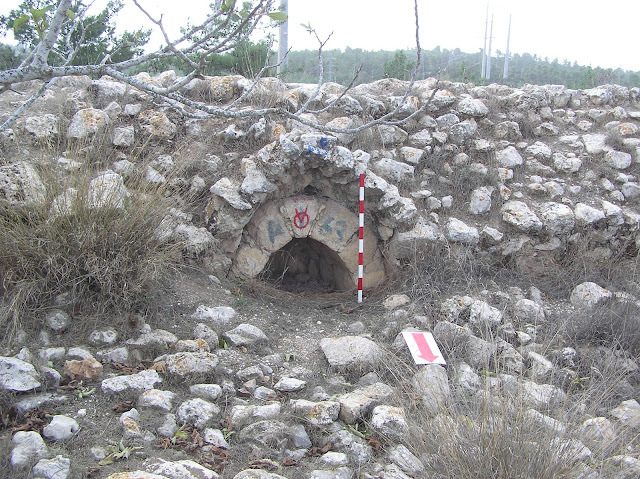 On the basis of this and other reports, A. Petersen suggests that the site appears to have been abandoned sometime between the sixteenth and the nineteenth centuries (2001, 195). What appears before our eyes today, does not match the description of V. Guérin. 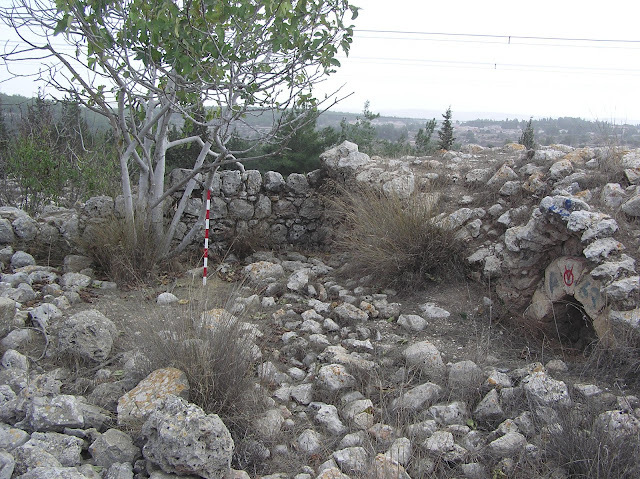 Not even remnants of the tomb-shrine (wely) can be found at Khirbet Kafr Sum. On the hill there are no mulberry trees. 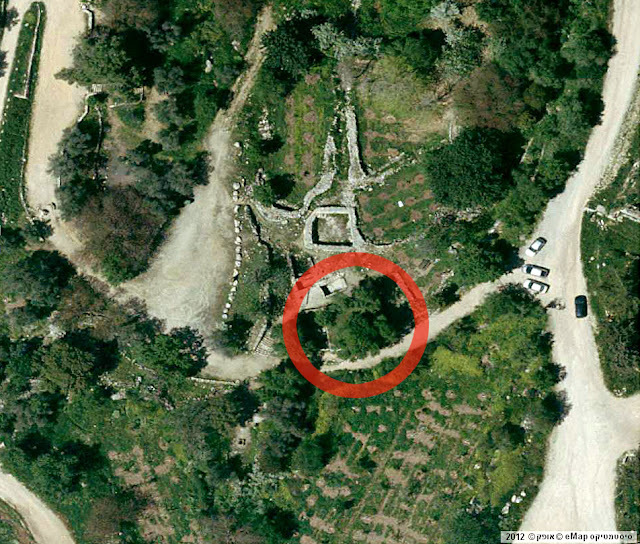 The pool that V. Guérin mentioned is there; but it is not round, it’s rectangular. Moreover, the place produces the impression that it was not until 1948 that the village became uninhabited. The evidence is the cacti that grow next to the remains of houses. 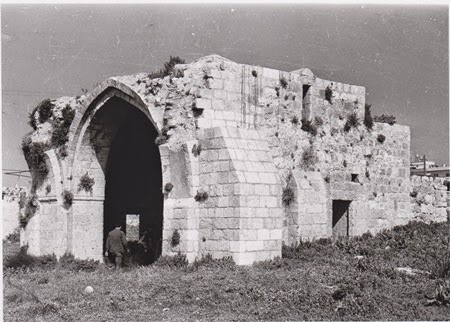 We see exactly the same picture among the ruins of other Palestinian villages, abandoned in 1948. 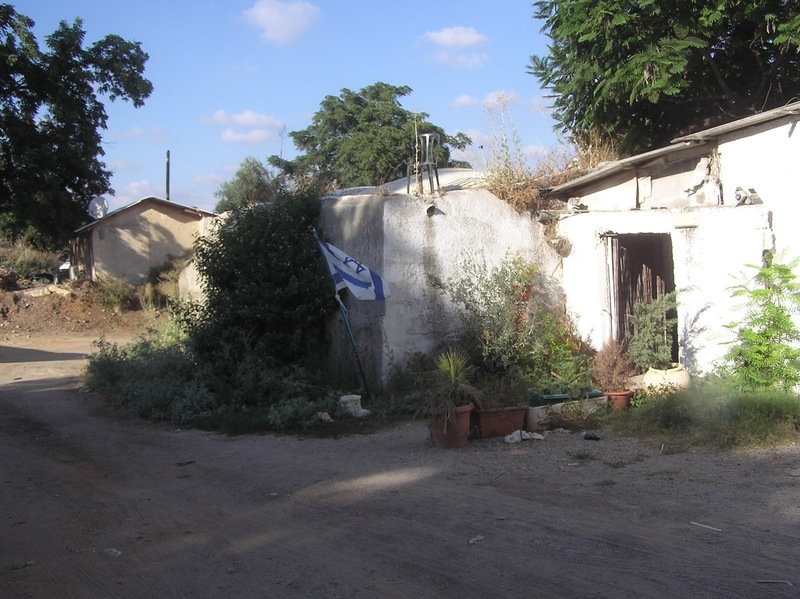 Palestinian Arabs used to plant cacti around their homes. 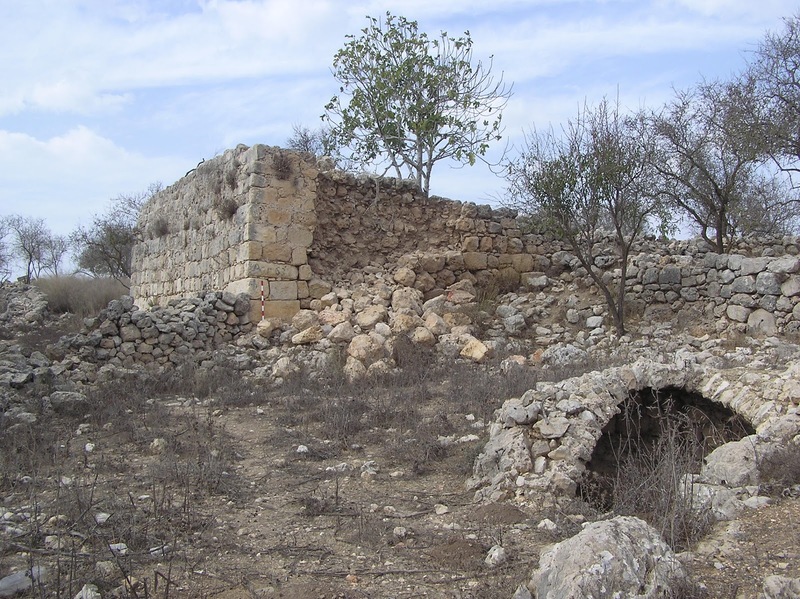 According to The New Israel Guide, an Arab village of Kafr Sum was located on the ruins of the Jewish settlement of the Second Temple period and even later. 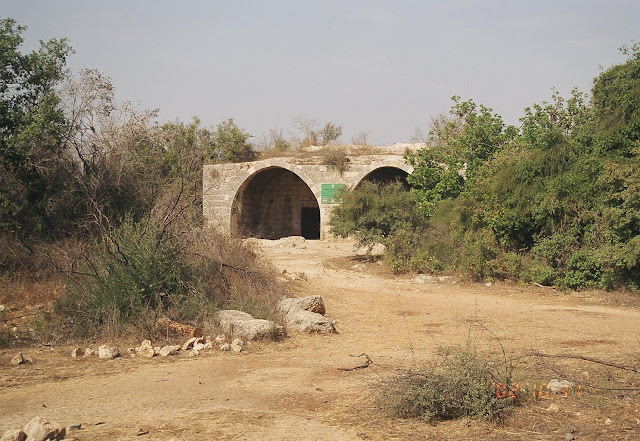 In 1948, after the Israeli occupation, the villagers fled to the Bethlehem area (NIG 2001, XI 151–152). 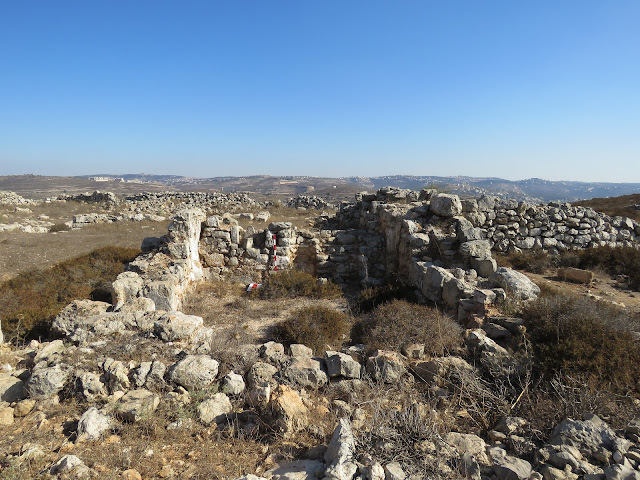 However, neither in works of W. Khalidi nor in works of other Palestinian authors Khirbet Kafr Sum is listed as an inhabited village at the time of the occupation. 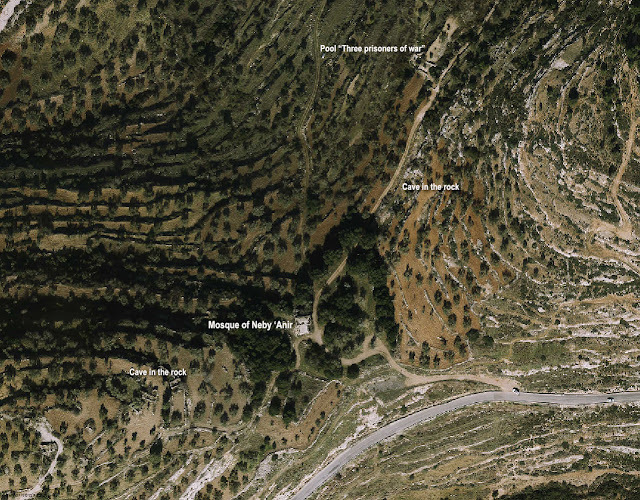 Also the British map of Palestine of 1947 did not chart this place as a residential village. Yet, again, what we saw on Khirbet Kafr Sum corresponds more with the description of The New Israel Guide. Now back to V. Guérin. He says: “A large structure, partly built of ancient stones with typical projection, served as a mosque, as we can tell from the presence of the mihrab in it. It is very likely that the structure had stood before the Muslims settled here, and they just adopted it for their cult” (Judee II 383). 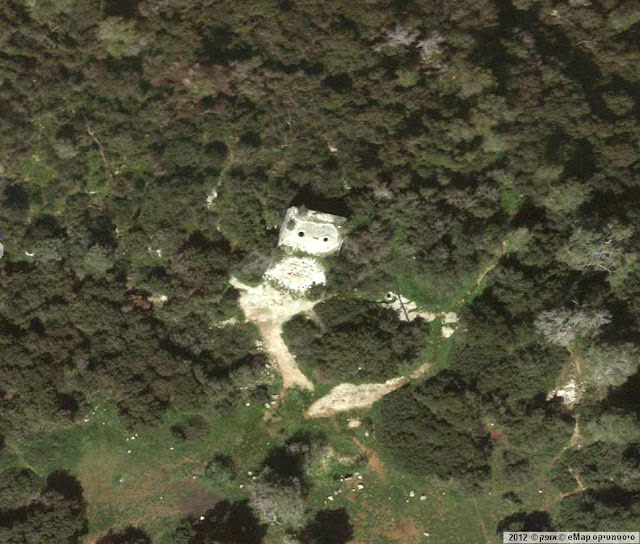 The ruins of the mosque with dimensions 11.20 x 8.80 m are located on the top of a hill. 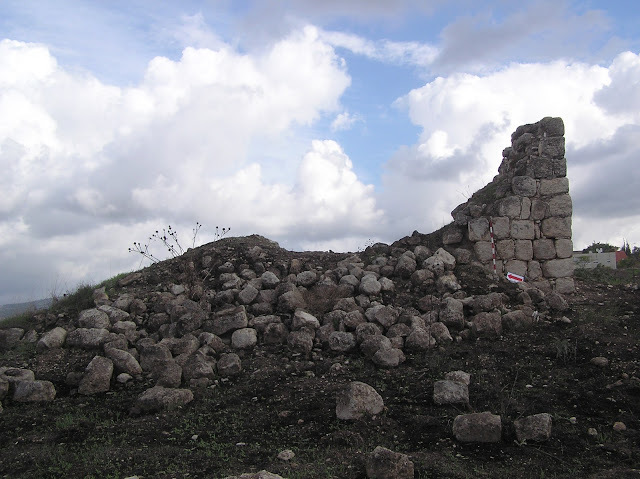 The best-preserved is the southern and the northern wall. 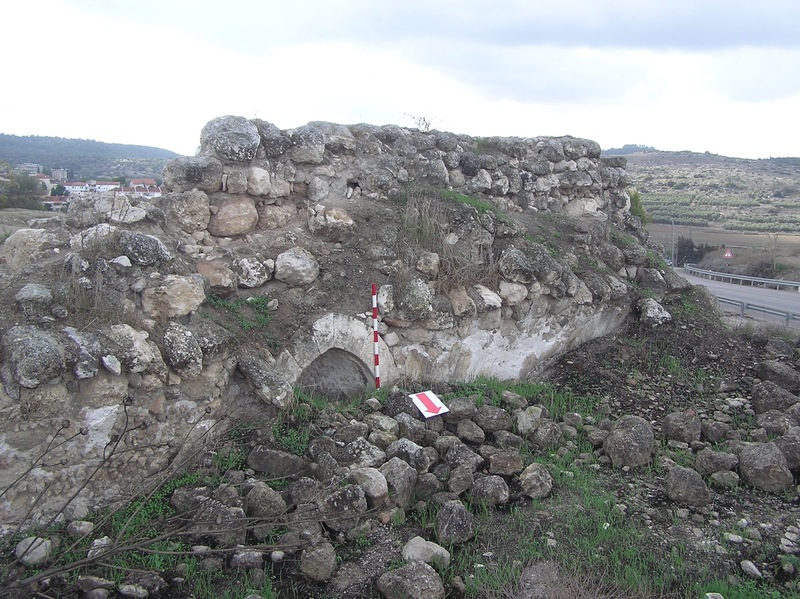 The height of the southern wall reaches 4.50 m. The roof of the mosque was probably vaulted. Judging by the type of the masonry, structure can date back to the Ottoman period. Although in the masonry there really are stone blocks from the V. Guérin description, they do not lie at the base of the building, but can be found in different places of the masonry among ordinary stones. It is clear that these blocks were simply reused. Inside the mosque there are piles of debris of about 1.5 m high on the floor. One can tell this from the large vaulted mihrab: only the upper part of it is visible. Route. From Highway 386, a little short of the Tzur Hadassah junction, turn left (north) near a fire station, and keep eastwards for about a mile along a dirt road, which partially coincides with Shvil Israel. Ruins of Kafr Sum are located on a hill to the north of this road, to the south of Mount Giora. There are no paths leading to the hill. 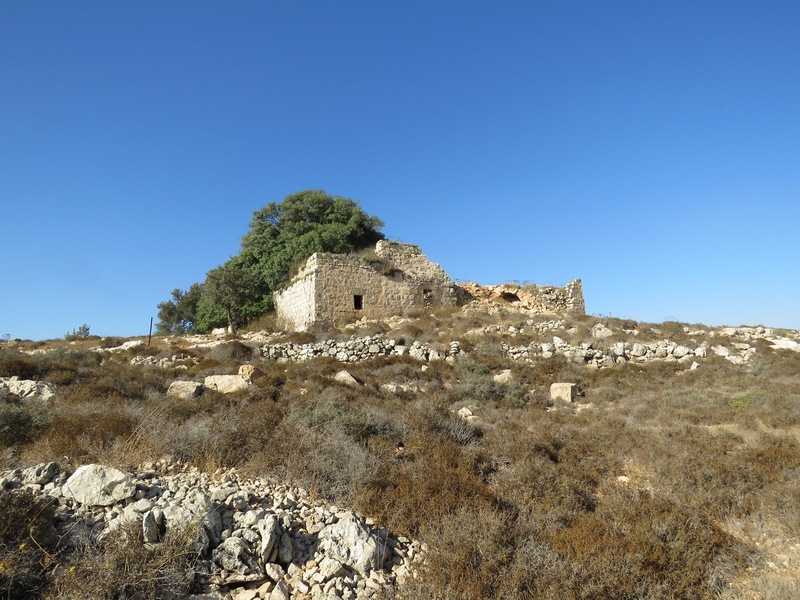 In the block of Israeli settlements Gush Talmonim (in the Southern Samaria) there is a pleasant place: Khirbet ‘Anir. Usually the residents come there to have a rest. There are wonderful springs with small swimming pools. The tourists come to the springs shooting a glance at the old building overgrown with grass. 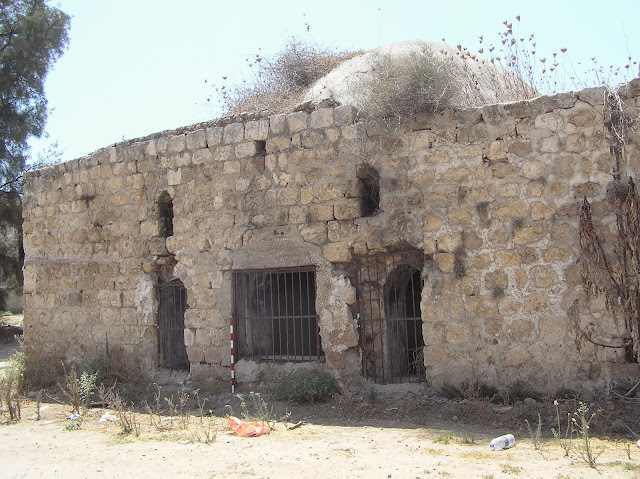 This is the abandoned Mosque of nabi ‘Anir. The building of this mosque can be dated to the first part of the 19th century. 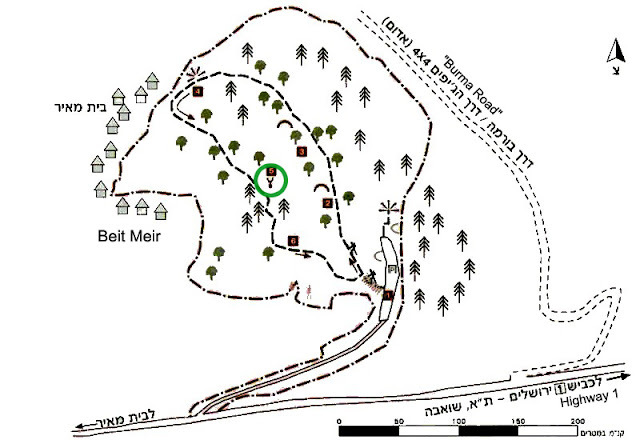 On the PEF map it is called Neby ‘Annir (Sheet XIV rl). 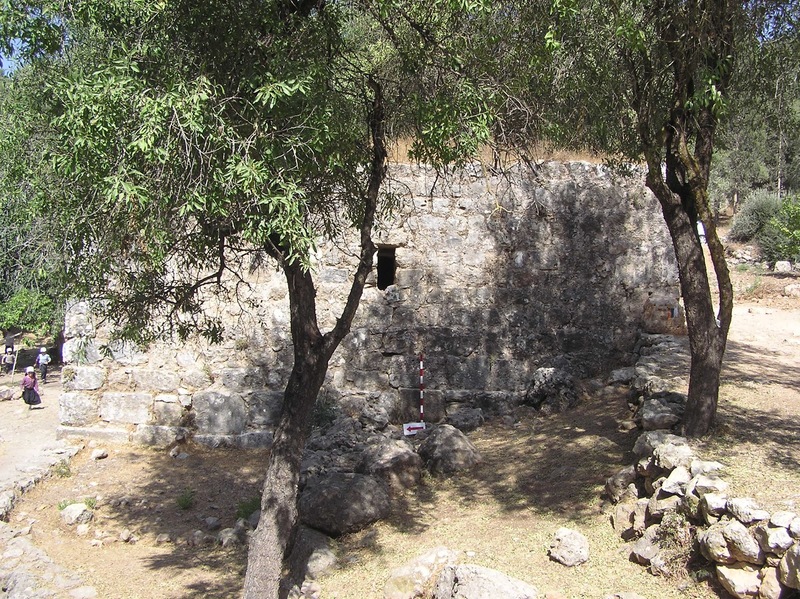 According to T. Canaan, this shrine was a place of big pilgrimage. A special holiday Jum‘et el-‘Alemet was celebrated there. 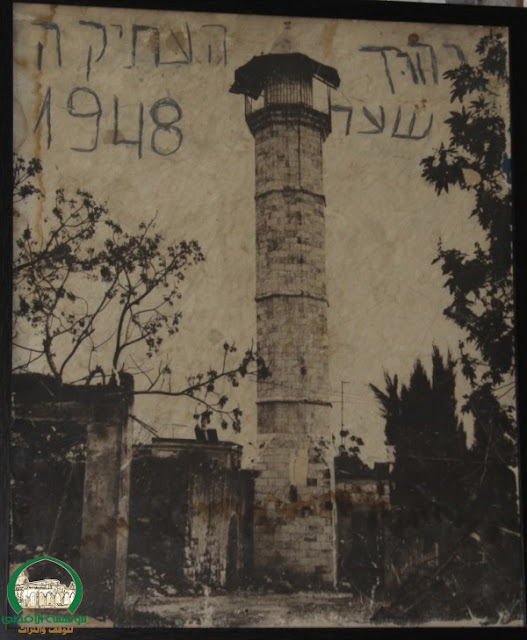 (1927, 215). 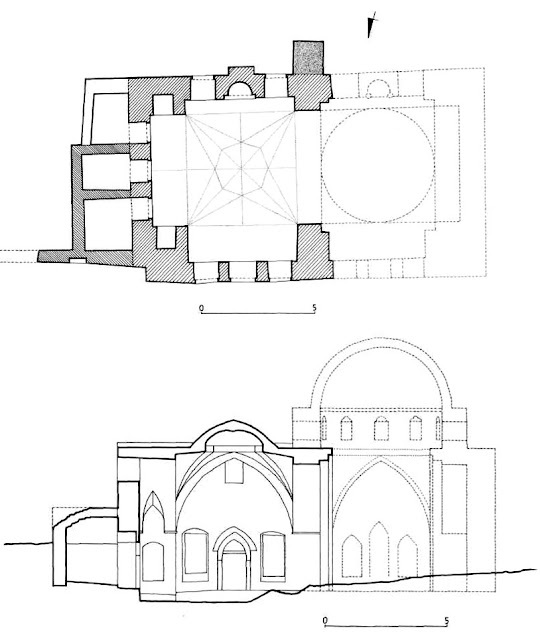 The entrance to the Prayer room (7.60 x 5.40 m) with a mihrab and rounded ceiling is from the north through a Double-vaulted portico (riwaq) (9.80 х 5.80 m), with arched curves that go before a small Inner yard) 9.80 x 3.95 m). This yard has 2 entrances 0.70 m wide – an arched one from the west and a rectangular – from the east. Also there is a square window in the western and eastern walls of the yards. The size of the structure is approximately 15 x 10 m, like sizes of local Palestinian mosques. The walls of the Prayer room are covered with Arabic and Jewish inscriptions left by nowadays visitors. 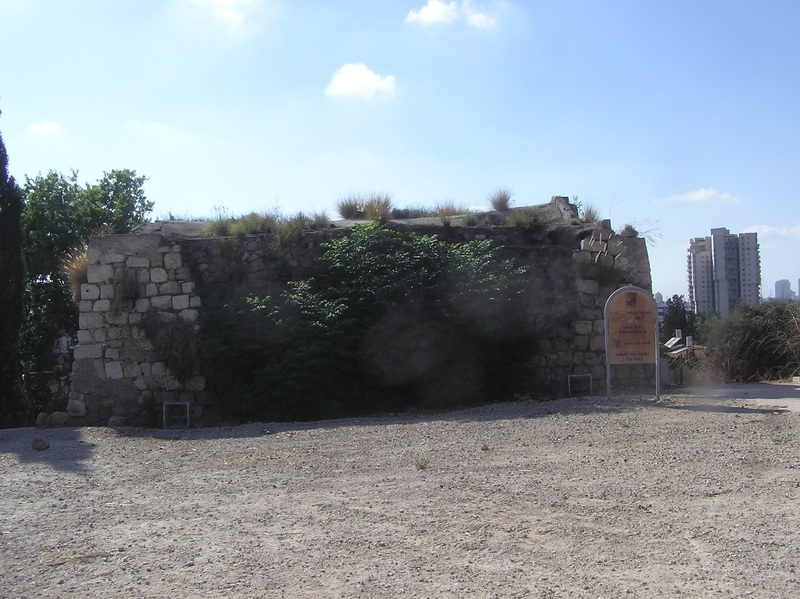 The overall condition of the monument is quite satisfying, though the western of the Prayer room and the wall of the Inner yards have partly collapsed. 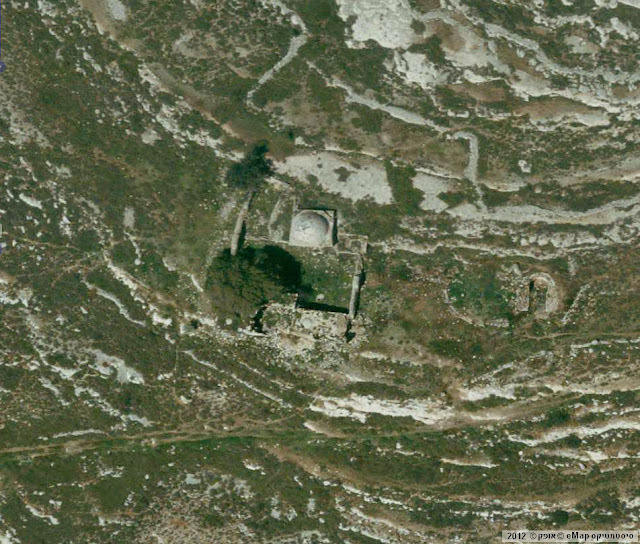 The absence of the Domed chamber or any domes proves the fact that this building is not a maqam or tomb. But if it is really a mosque there is the question: Was there a minaret inside? Nowadays there is no signs of it. 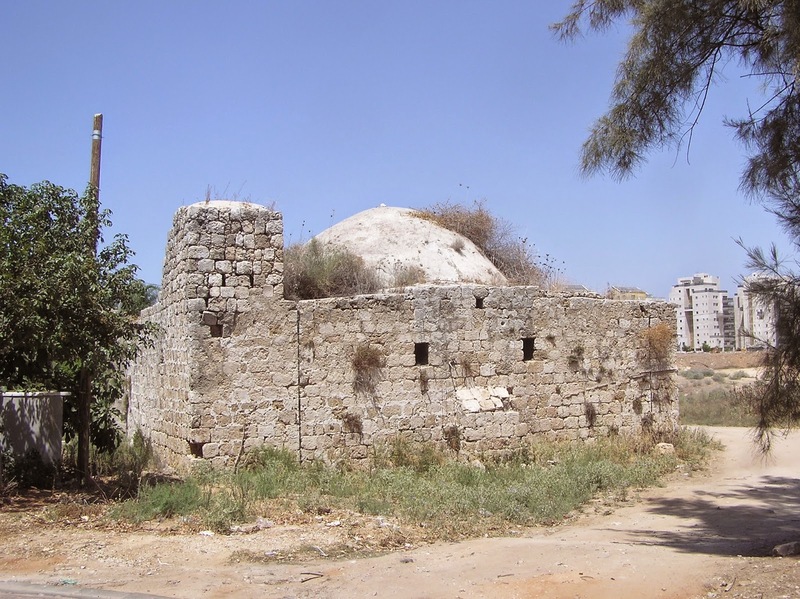 This structure can be compared with the Mosque of sheikh Ahmad al-‘Adjami nearby moshav Beit Meir (see below), which is similar with its construction and the absence of minaret. Route. 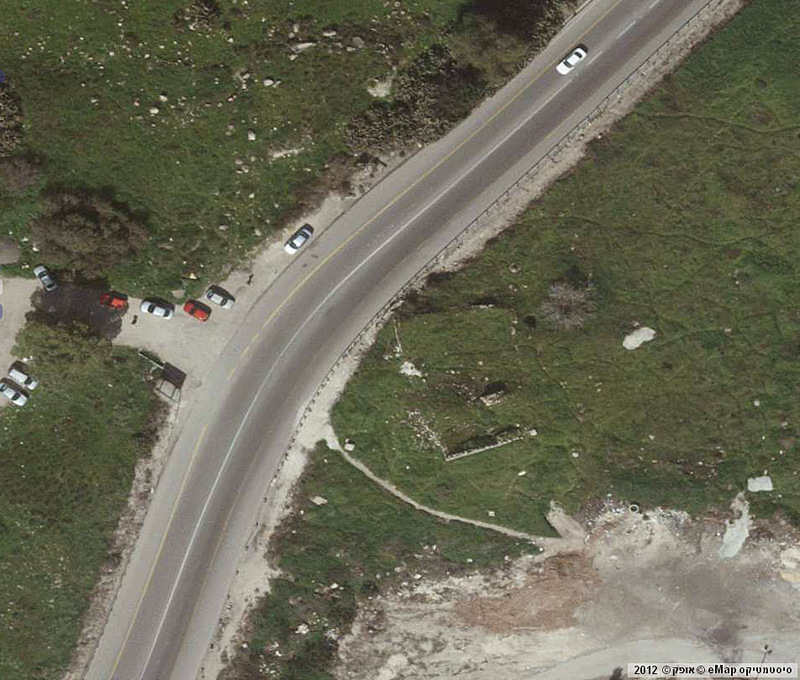 At ha-Do'ar crossroad where Highway 463 crosses a road which the residents of the Palestinian Authorities use. 300 m to the east from this crossroad there is an asphalt road which goes to the left from Highway 463. This road in 1.5 km reached Khirbet ‘Anir or Khirbet nabi ‘Anir. On the map of Palestine Exploration Fund (Sheet XVII) at this place stands the Maqam of sheikh al-‘Ajami (Palmer 1881, 327). 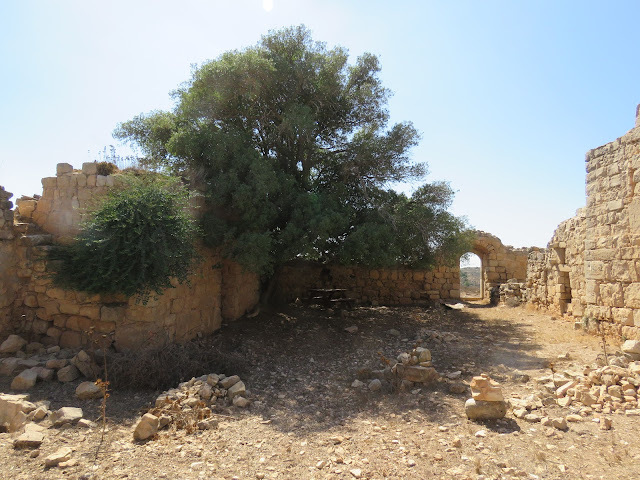 Palestinian historian W. Khalidi said: “There is a wild forest of old trees on the eastern edge of the village site, on top of the mountain. 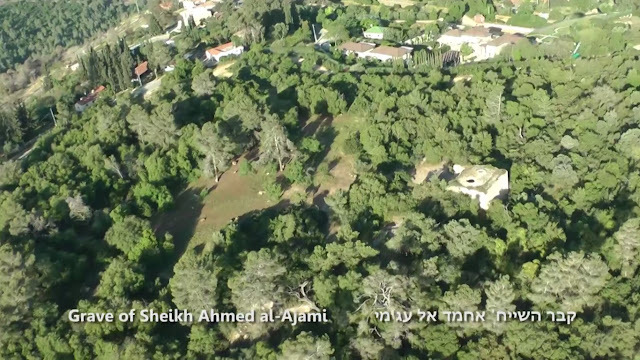 The tomb of al-‘Ajami, together with other graves, are among the trees.” (1992, 277) Israeli booklet advertising ha-Masrek Reserve, also connects this structure with the tomb of Ahmad al-‘Ajami. 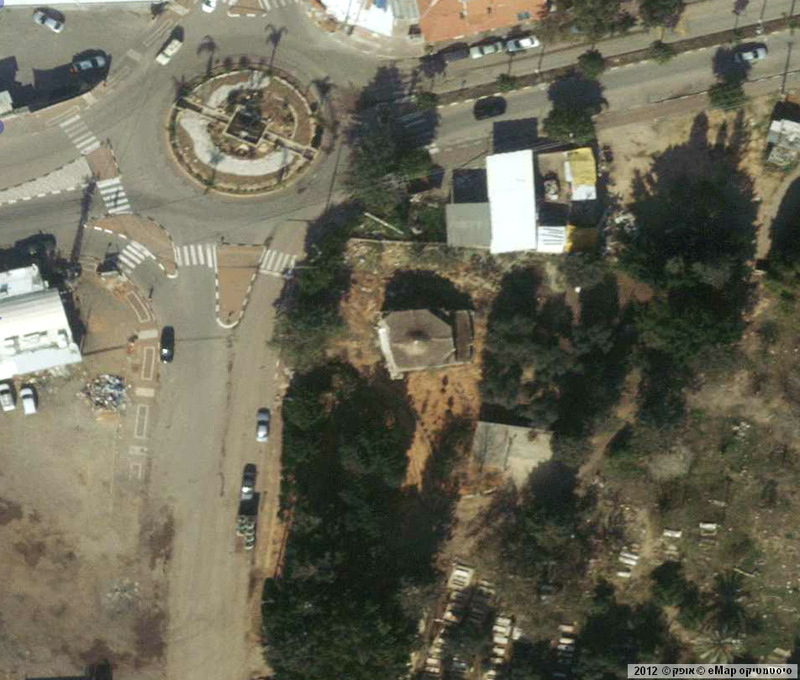 But there is nothing inside it to indicate that there was a cenotaph. 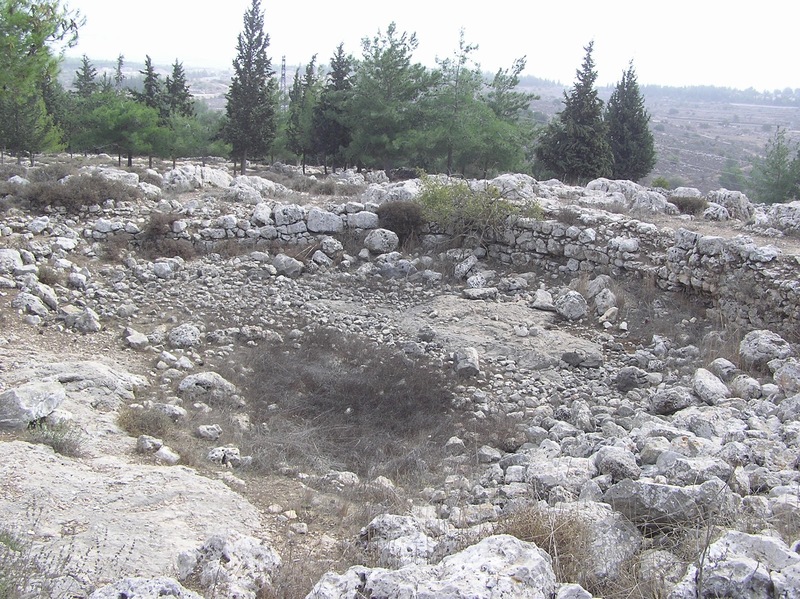 Although A. Petersen calls this structure a maqam (2001, 124–125), in his description there is no indication of the cenotaph or its supposed whereabouts either. This structure can hardly be numbered among maqams. 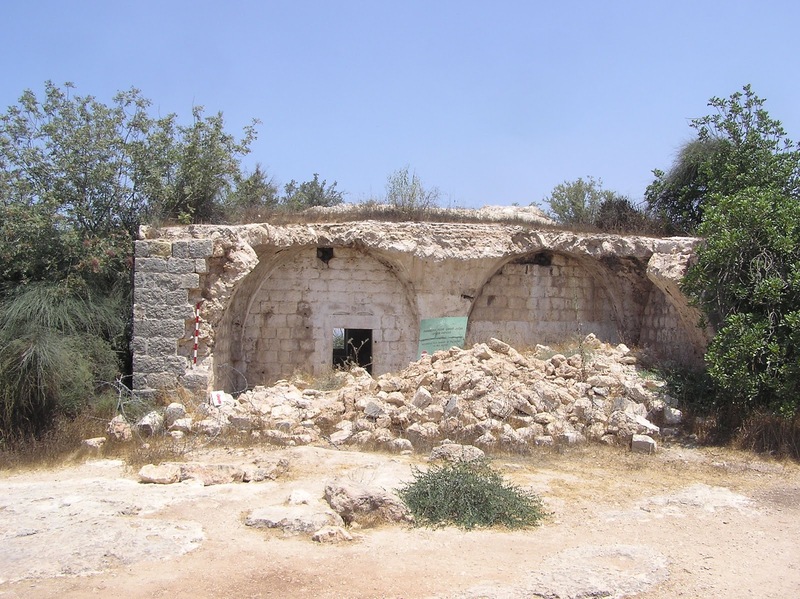 Large size, rich moldings, the presence of mihrab suggest that the building was a house of worship, a mosque or even an Islamic school (madrasah) situated near the Palestinian village Beit Mahsir. Though the building has become a part of the park complex and stands in a busy place, its deterioration continues. Comparing the current state of the monument with its photographs of a few years ago, we can see that the destruction has gone far enough. 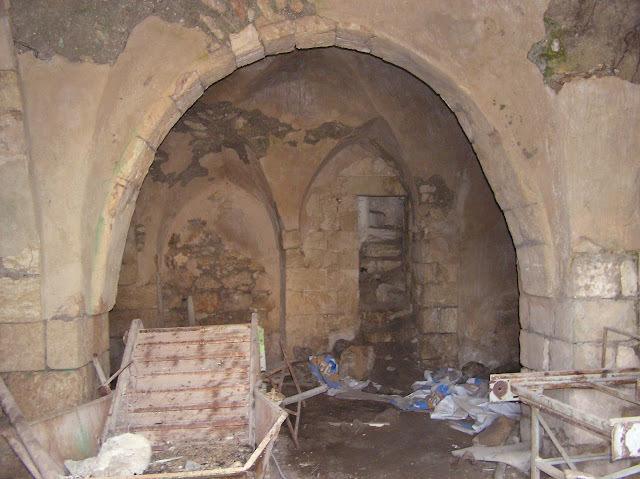 The double-vaulted portico into the building, for example, is completely destroyed. Now to get into the second room, you need to surmount a pile of debris. 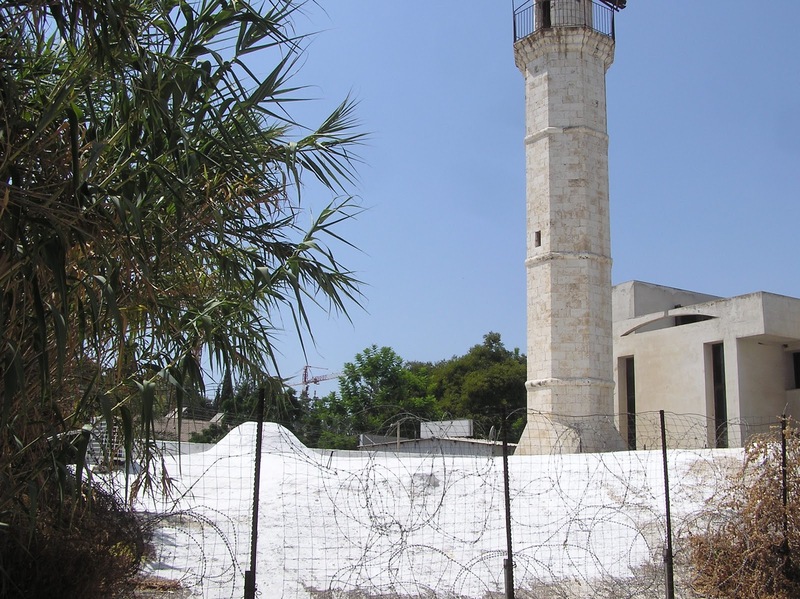 Recently, the administration ha-Masrek Reserve surrounded the building with barbed wire, barring the access to the inside because of the threat of collapse. Route. At the road junction Shoresh turn from the Highway 1 onto Route 3955, leading to Beit Meir; turn right in front of moshav to ha-Masrek Reserve. From the parking place walk westwards for 350 meters along the path. Near the Spring of Qoby stands a pretty impressive building (8.50 x 8.70 x 4.70 m). 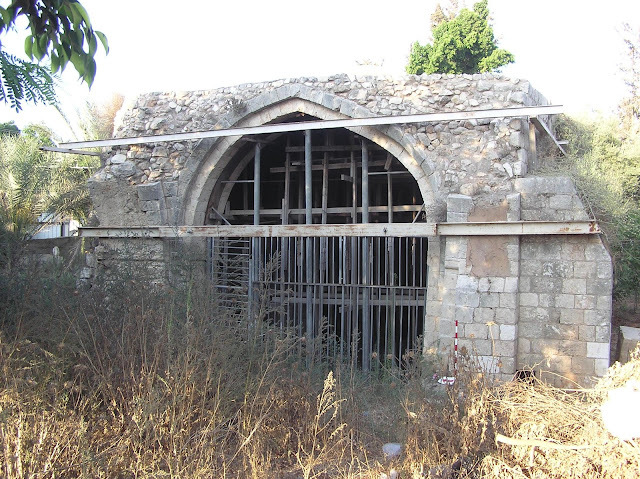 This is a former mosque built in the Ottoman period and named after sheikh Mahmud al-‘Ajami. The structure was built of ashlar stones in secondary use. A column in secondary use was incorporated in the exterior southeast corner of the building. Well-preserved mihrab is surrounded by inscriptions in Arabic: “Allah Akbar.” The entrance is blocked by the iron lattice with a lock. The foundation of the mosque dates back to the Roman-Byzantine period. At that time here stood Nymphēum and other facilities. Nearby lie the remains of the Church of the Crusaders. Route. 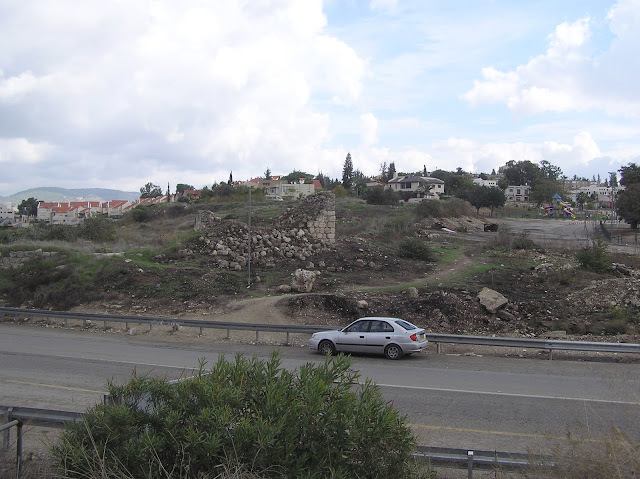 From Route 385, near Mevo Beitar, turn on the paved road leading north, up to ‘Ein Qoby. 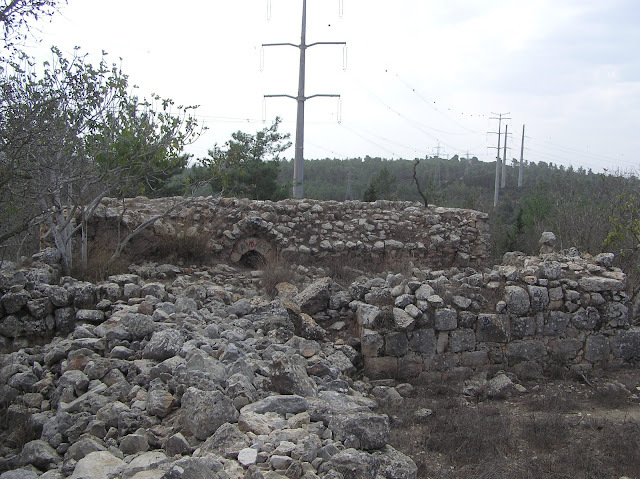 A. Petersen mentioned a ruined mosque and maqam near it, which were in the former Palestinian village Qula, near crossroad Giv'at Koah on Highway 444. According to Petersen, “The mosque stood approximately 10 m east of the Crusader tower. 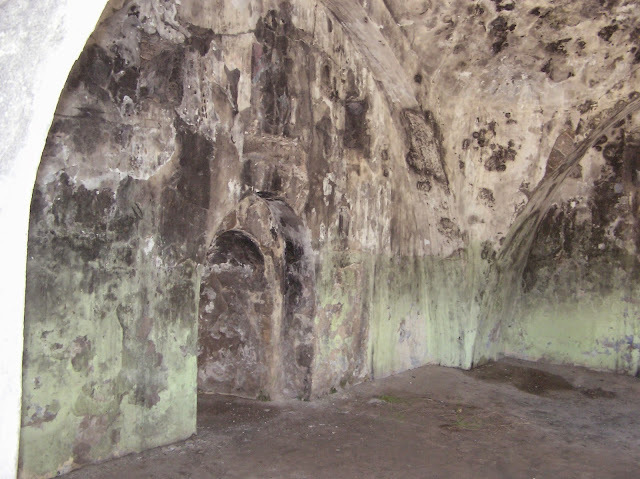 It comprised a large vaulted Iwan and a smaller room with an inscription above the entrance” (2001, 254). Now only small fragments have survived from the Crusader tower. 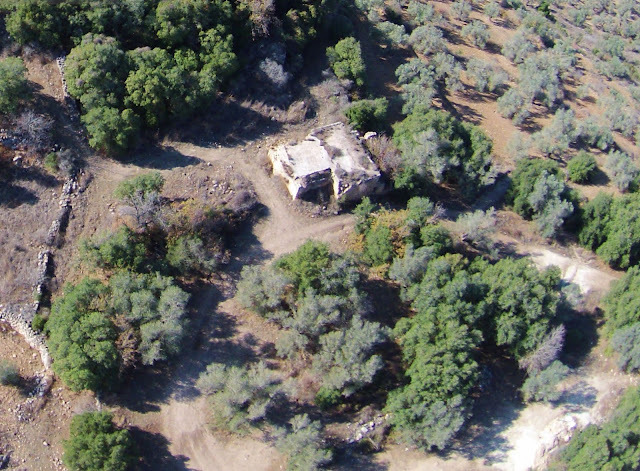 The remains of the mosque are 30 m to the south-east. 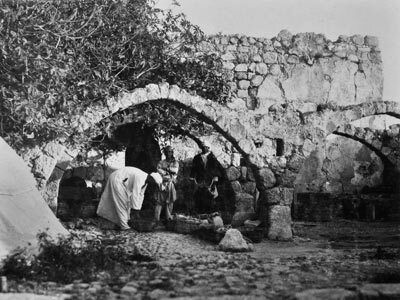 Palestinian village Umm ash-Shekh (The mother of the Sheikh) is mentioned in the E. Robinson's list of the village around Jerusalem (1841, III 122). 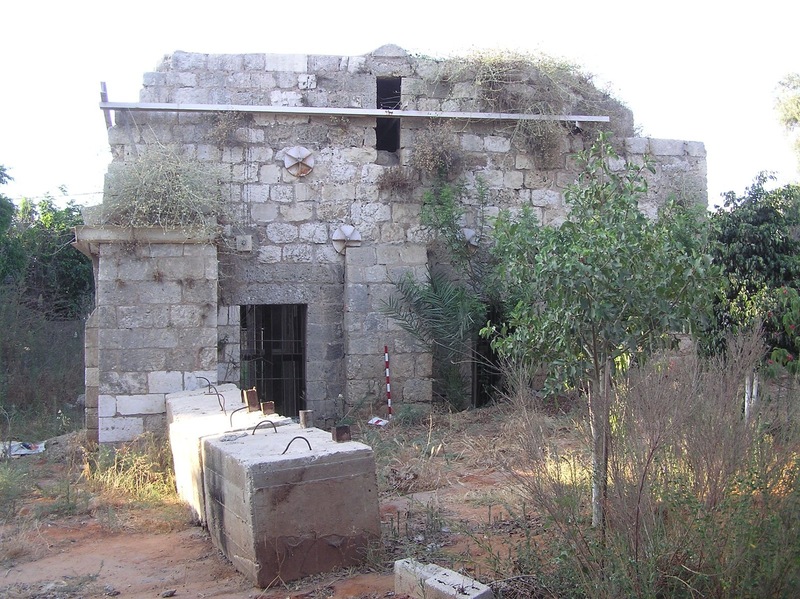 Around in the middle of 19th century the village was abandoned by its residents, as C. Conder describes only the mosque, “Umm esh-Sheikh is larger building, but ruinous. 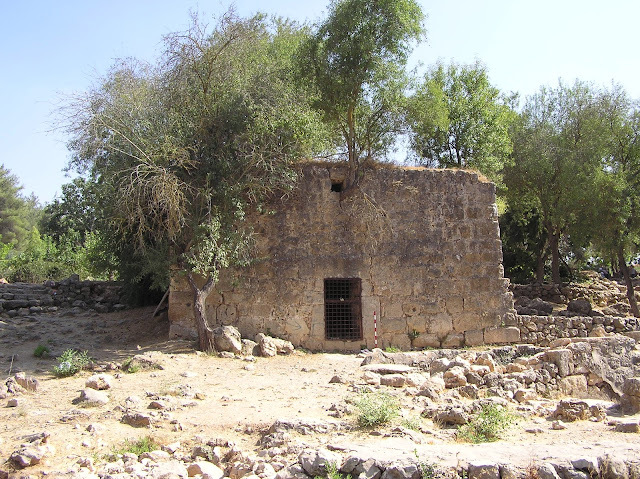 There is Wakuf, or grebe-land, belonging to the mosque” (SWP III, 157). The settlement`s ruins are located 200 km to the west from the mosque and are known as Khirbet ar-Ras. 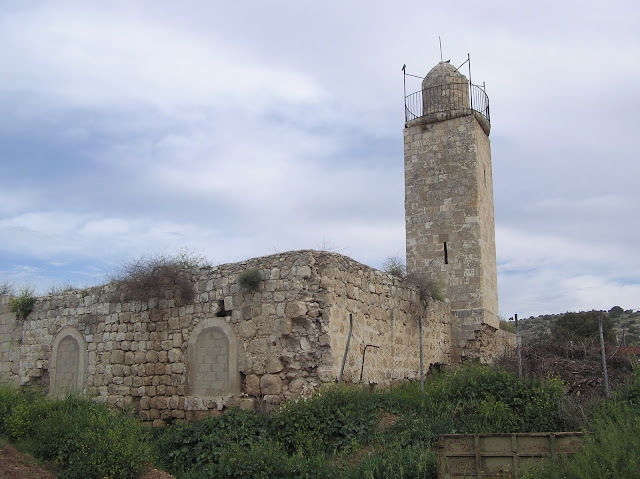 During 150 years the residents of Arabic village Beitunia have been keeping on visiting the mosque. 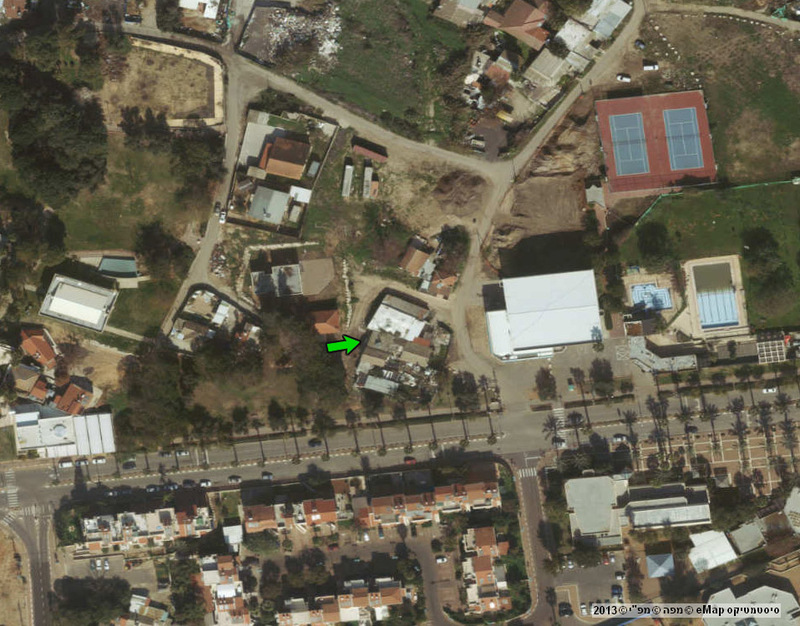 There, to Beitunia the residents of Umm ash-Sheikh might have moved to. In 1980s as asphalt road was laid to the mosque and to the Maqam of sheikh Abu az-Zeitun (see Section 3. Maqams. Judaean Mountains). But when the Israeli built the Separation barrier in 2003, the access to the mosque from Beitunia was blocked. A free access there from the Israeli territory was also impossible: the way partly lies along the patrol road alongside the Separation barrier. 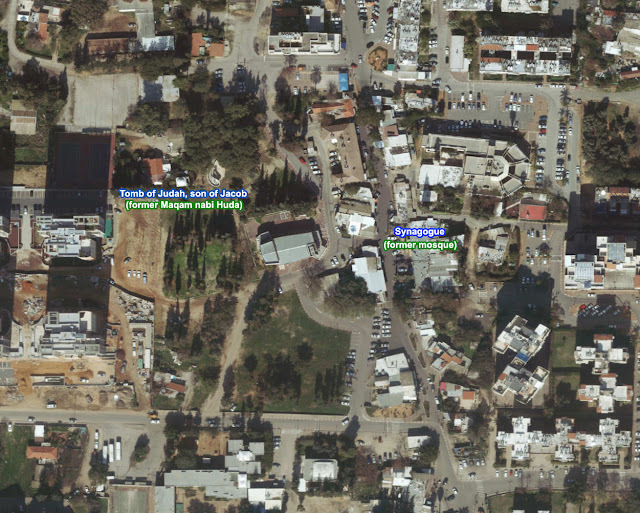 To move there you should obtain a special permission from the Israeli patrol service. 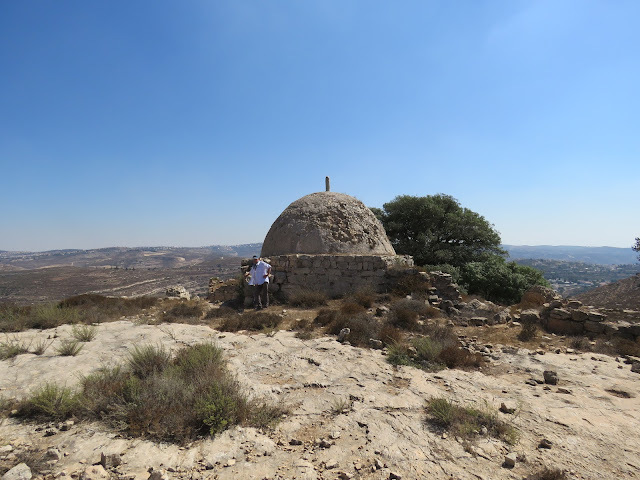 From time to time special excursions are organized, during which the Israeli visit Umm ash-Sheikh and other archaeological objects in this region. 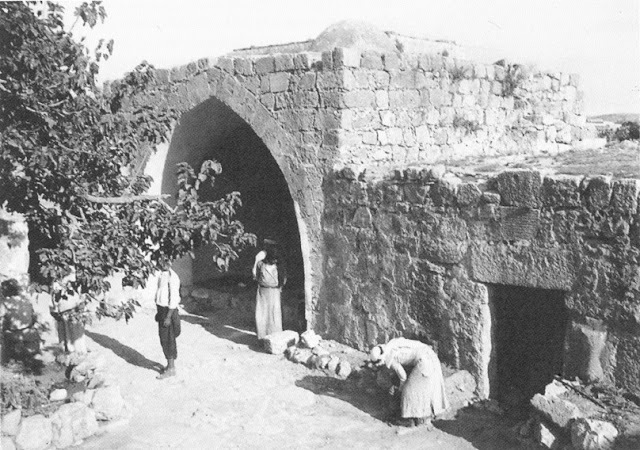 The mosque has quite a big walled yard with two arched entrances from the west and east. 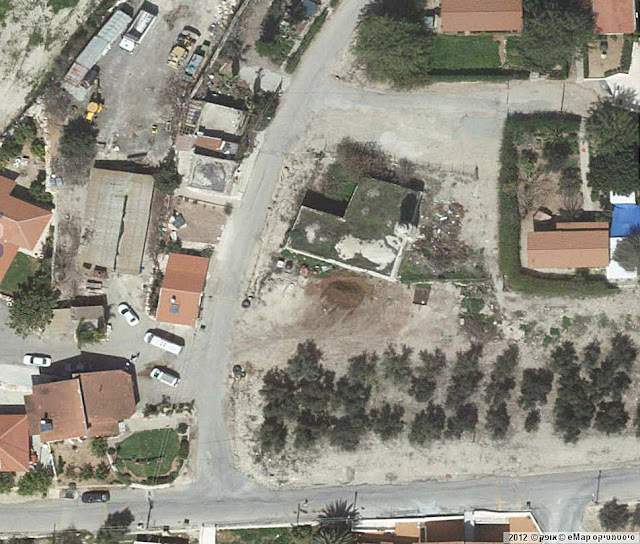 In the S part of the yard there is an old kermes oak and e few service buildings, which are now destroying. In the N part of the yards there is a Prayer hall with a dome and mihrab, and two more rooms on the sides of it. A wall painting has partly survived in the Prayer hall: it is ornament and with quotation from Quran in cartouche. It is not clear where was the entrance to the Prayer hall. Now you can get into it via one of the windows in the S wall. Obviously, the entrance was bricked up, but where it was exactly is very difficult to identify. It is interesting that among the ruins on Khirbet ar-Ras there is a building which looks like a maqam or a small village mosque. It is square with a mihrab in the S wall. There is no reference of a Muslim shrine on Khirbet ar-Ras. It might be a first mosque in the settlement; and later there was built a more spacious mosque known as Umm ash-Sheikh. 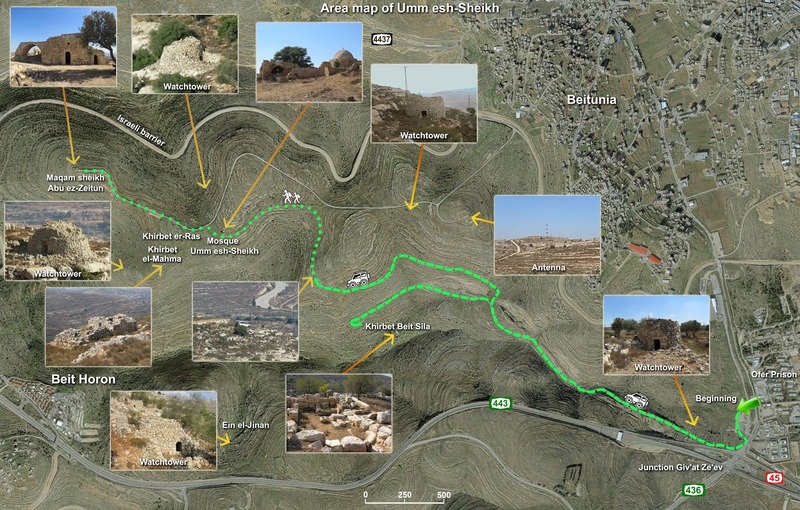 Route: To reach the mosque in Umm ash-Sheikh you should take quite a difficult way, the plan is attached below. Where once used to stand an Palestinian Arab village al-Yahudiya (since 1932 – al-‘Abbasiya) now lies the Israeli city Yehud. 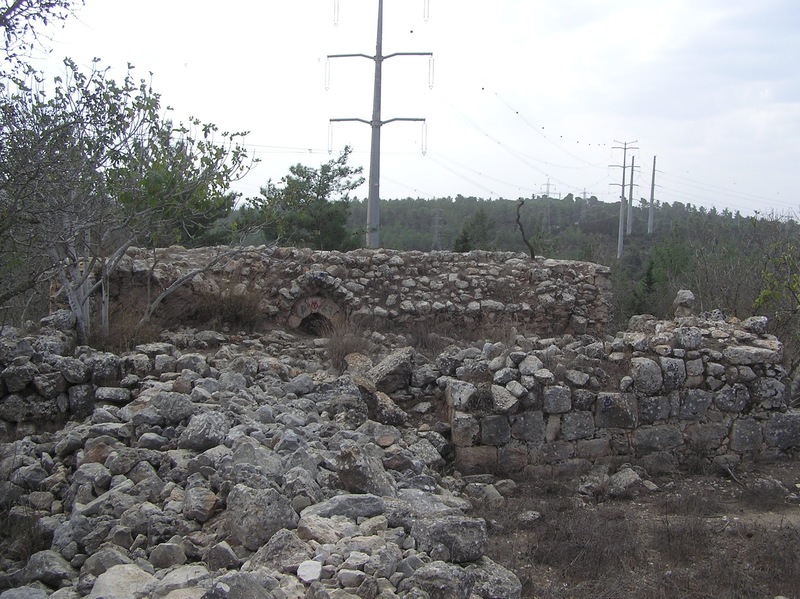 Former village mosque together with the tomb of sheikh (presumably, sheikh ‘Abbas) is included in the structure of a functioning synagogue in the center of the village. All what’s left of the mosque is a minaret of 21 meters high with an inscription in Arabic representing the shahada. Entrance to the minaret is tightly closed. 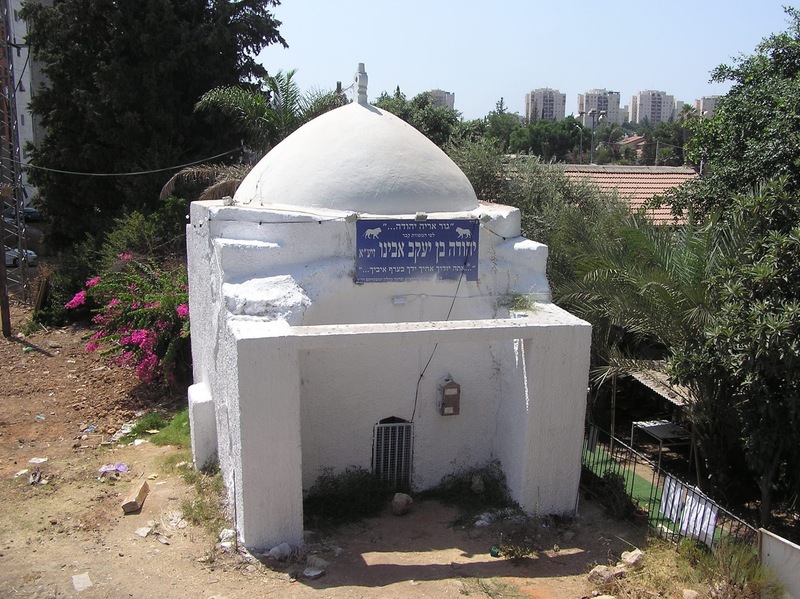 The white dome in the southern part of the synagogue originally might have crowned the sheikh’s tomb. This tomb is to be distinguished from the tomb of the patriarch Judah, son of Jacob, which is also situated in Yehud (north-west) and is a Jewish shrine. However, it is also of a Muslim origin, and in the 19th century was known as the Maqam nabi Huda. Route. From Highway 461 (Derech Lod) turn into Yehud, then drive along the streets for about 800 m till you reach the Municipality; the synagogue is located behind it. 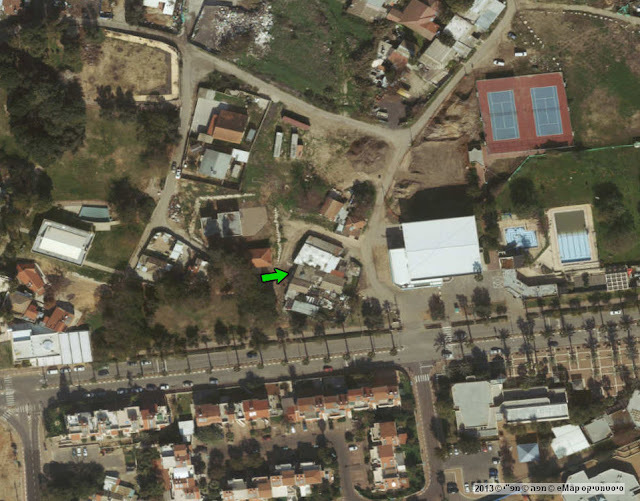 See the exact location on my map. After 1948 Israeli settlement Azor appeared on the place of Palestinian village Yazur. There left four historic buildings of Yazur: the Crusader tower on the high hill, the Maqam of imam ‘Ali turned into a synagogue, and also the Maqam of sheikh al-Katanani (see Section 10. Rebuilt Maqams and Modern replicas of Maqams). 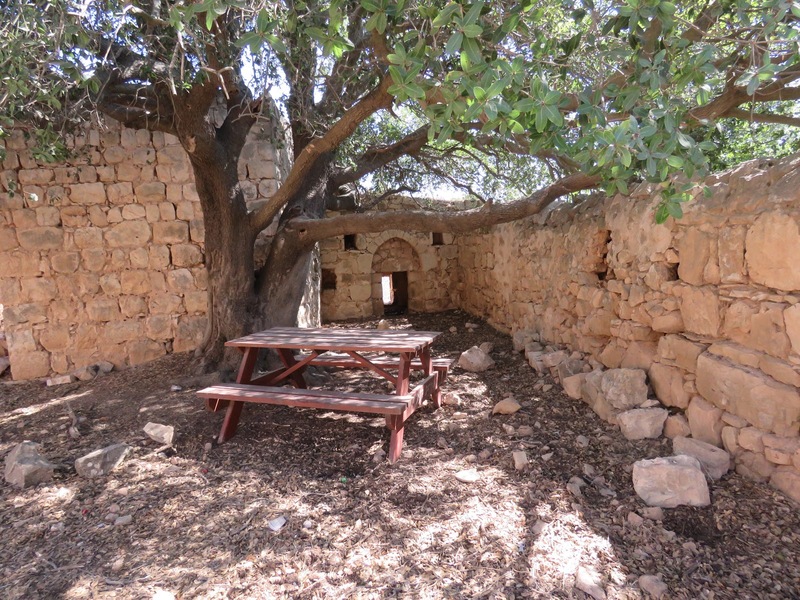 The fourth place is a mosque which stands 50 m to the east from the Crusader tower. A Petersen commented it, “It is a large building entered from a doorway in the north wall. Inside is a large square room roofed with a massive cross-vault springing from four corner piers. 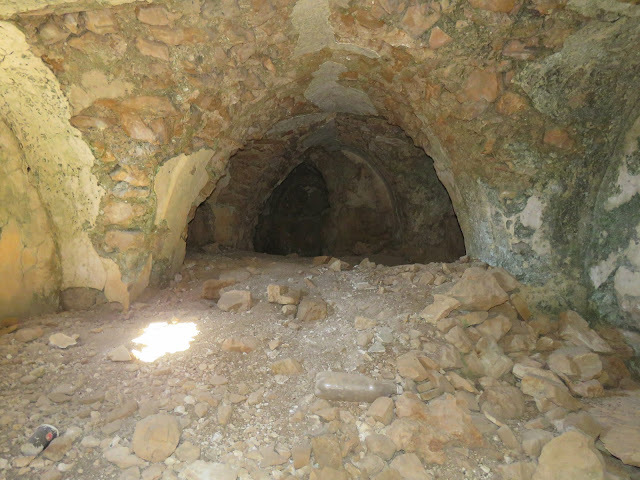 In the centre of the vault is a small shallow dome. 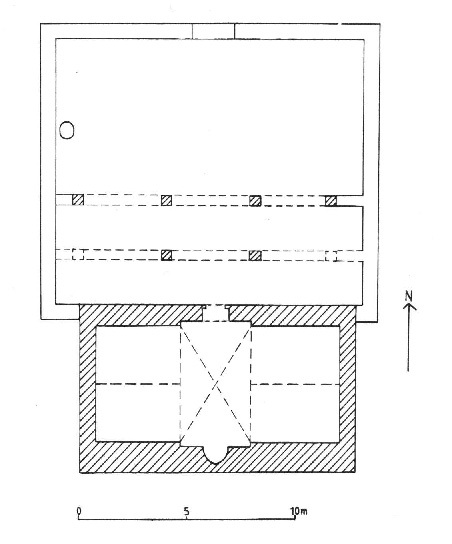 There are two small windows set into large recesses in the west wall and a large window in the east wall. The mihrab is located in the middle of the south wall and west of it is a fixed stone minbar of three large steps. 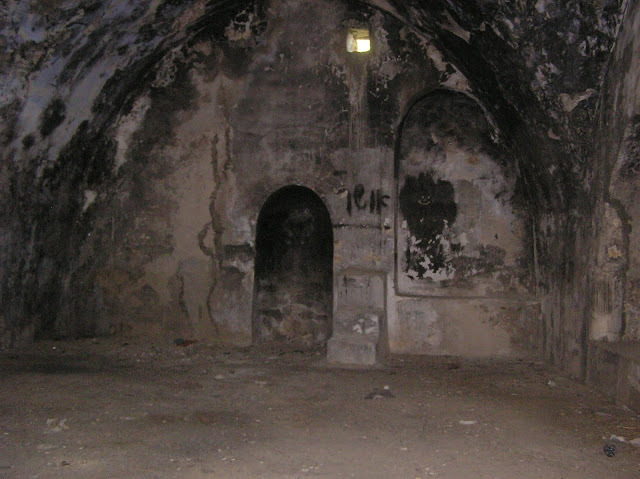 There are four large triangles set into the west side of the vault” (2001, 312–313). 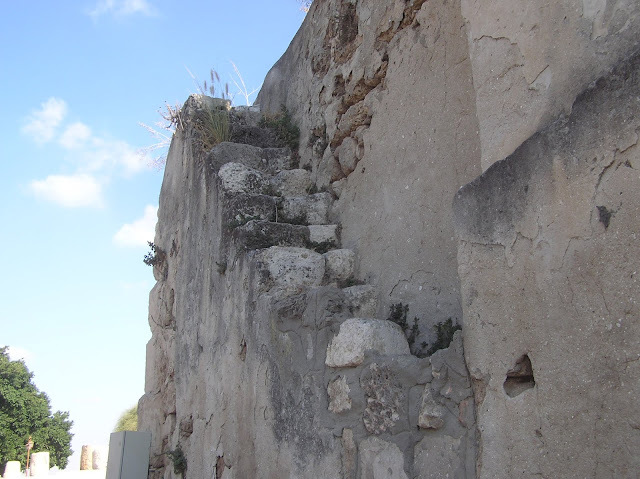 Petersen did not mention about the remains of stone stairs which lead to the roof of the Western wall, but from thee exterior side. Now the entrance to the mosque is locked, so you can make the pictures of it only through an iron bar. In the tower of Crusaders standing nearby there are chairs and lighting devices folded there. Not like the neighboring Maqam of imam ‘Ali that J. Zaullart saw even in 1586 and which was built in the Mamluks period, this mosque was built in 19th centuries on the basement of the Crusaders church. 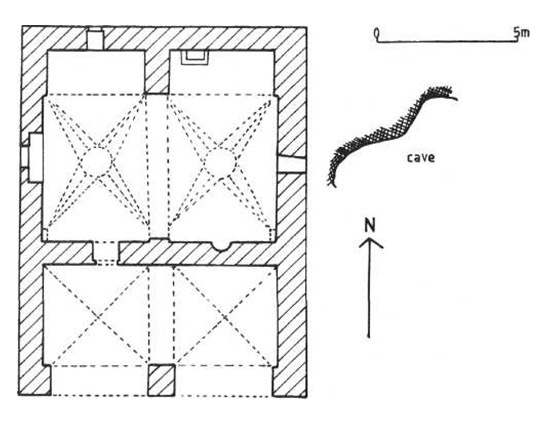 V. Guérin who visited Yazur added, “The mosque offers me a few big square ancient blocks” (Judee I 26). Route. The mosque is located in the centre of Azor in ha-Metsuda Garden. 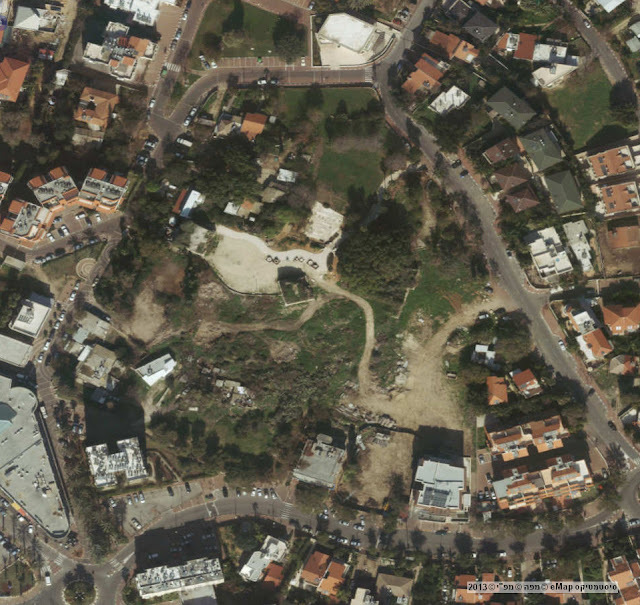 On the place of Palestinian village Zarnuqa there is Kiryat Moshe, the suburbs of Rehovot. 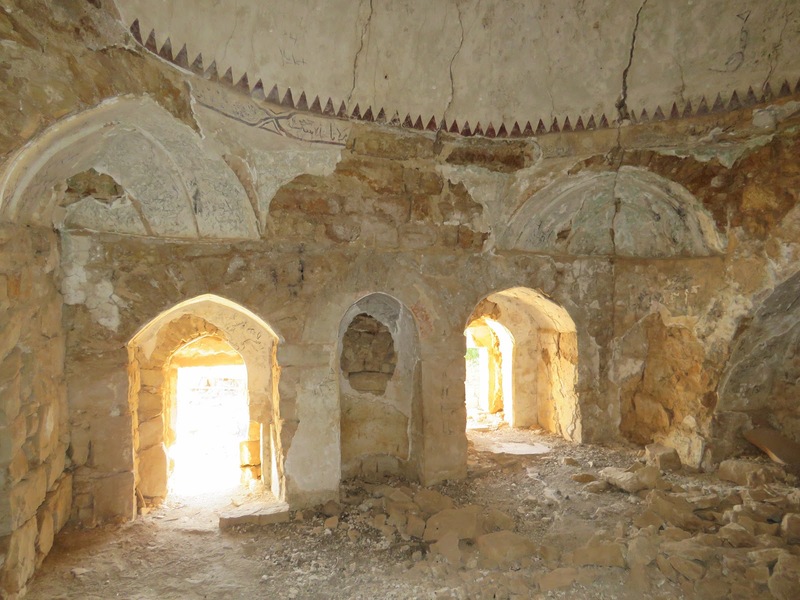 The only remains of Zarnuqa that we can see now – is a village mosque, closed for visitors. A lock is hanging on the iron fence. 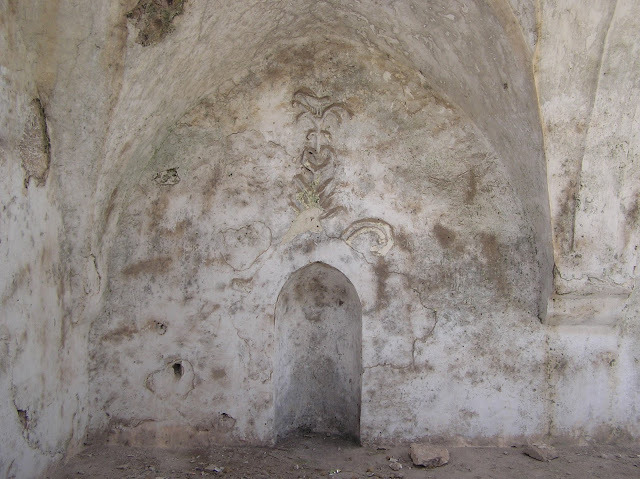 According to the Arabic inscription cut on the vaulted arch at the entrance in the N wall, it was built in Hegira according to the will of sheikh Ahmad ar-Rahhal in 1207, i.g. in 1792/1793. It is quite obvious, thst this mosque saw the troops of Bonaparte. 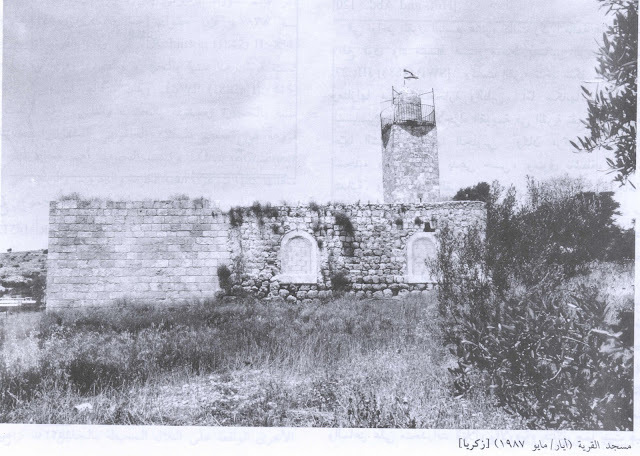 In May, 1799 the French grenadiers were passing through Zarnuqa on their way to Ramla. 120 years later the troops of Allenby. In November 1917 the Australian cavalry brigade was prancing on the streets of Zarnuqa and the photographers happened to make photos of them and captured the mosque. It was the first photos of Zarnuqa. 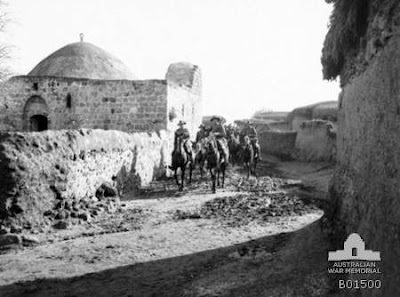 We can compare what the mosque looked like in the early 20th century, and the way it looks now. In general, it is almost the same. 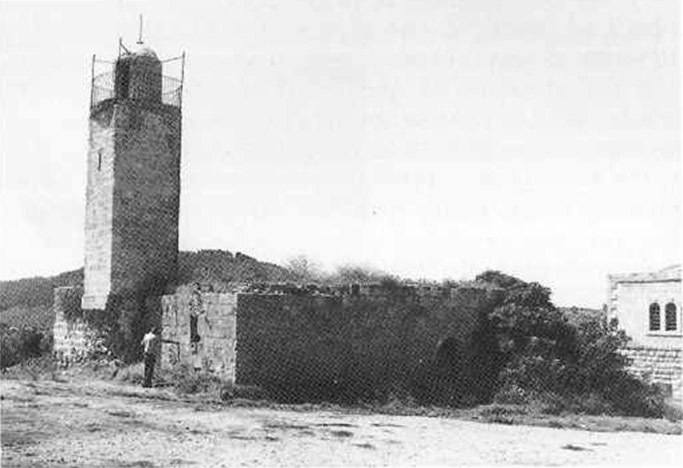 A small tower in the south-western corner of the mosque, which looks like remains of a destroyed minaret, in fact wasn`t a minaret in 1917. In the Australian photos this tower looks the same as now. 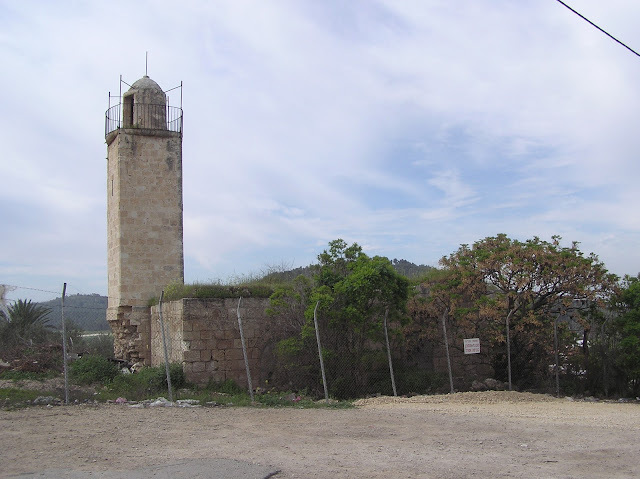 The purpose of it is still unclear: probably it was built instead of minaret, as a step to appeal for pray. 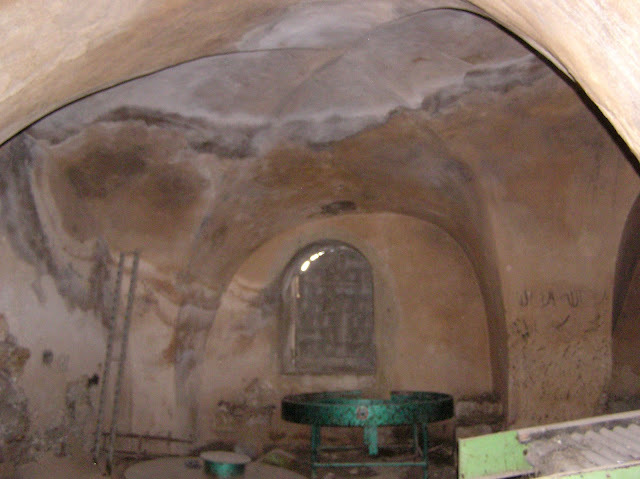 In general, the mosque is in good condition. In the lower layers, we see an original brickwork, upper – concrete was added. Somewhere there is fresh concrete applied to fix the disporting parts of the exterior décor. The E wall shows all this. 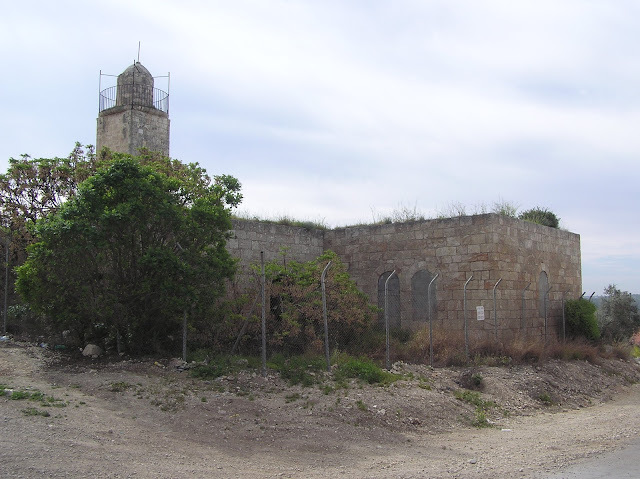 The mosque itself is not big (11,25 x 9,80 m) and has a small yard on the north side (11,25 x 5,75 m), parted into two parts with a cross wall. According to the photos of 1917–18, this yard was much more spacious. Then it was cut. You can get from this yard into the mosque through arched entrance decorated with an Arabic inscription. On both sides there are two windows. Another entrance, an arched one as well, is in the E wall. There are a few windows, holes and entrances in this wall; and it is difficult to tell which of them are original, and which are not. 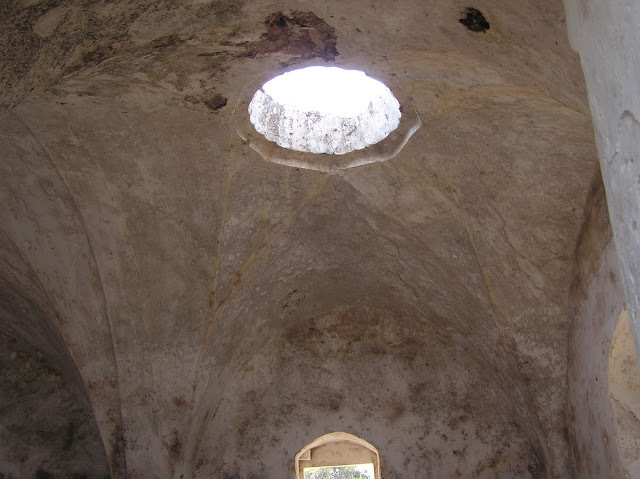 Each wall inside of the mosque is decorated with an arched roof. A deep mihrab is remarkable, with a corresponding brow outside of the S wall. In the W wall there is a small niche with an uncler purpose. 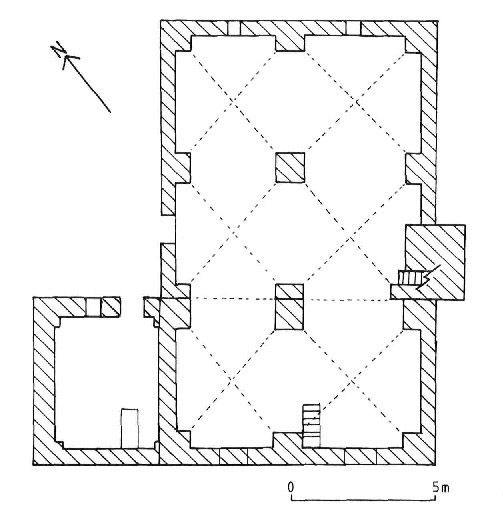 According A. Petersen, the mosque might have stairs leading to the roof (2001, 321). Now there is no sign of the stairs. 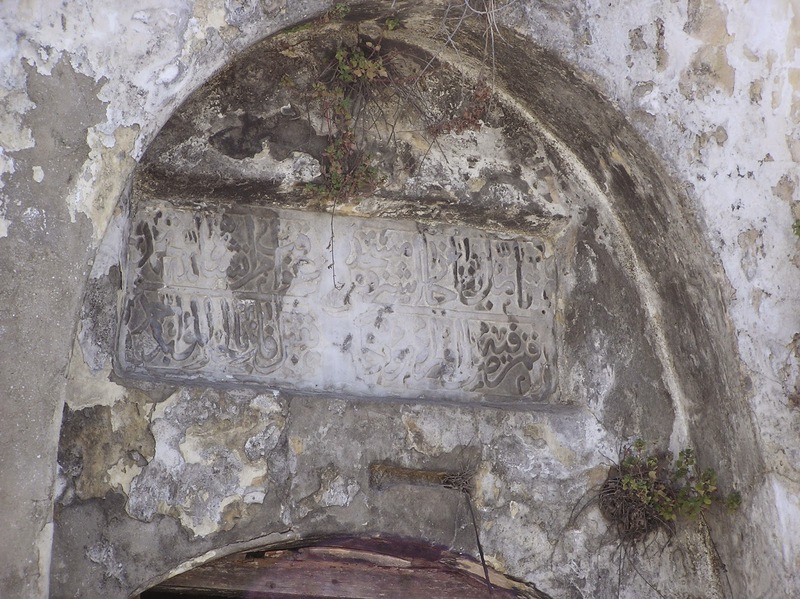 A. Petersen also writes about a Muslim cemetery located to the south from the mosque. Now this territory is built up with houses. Route. 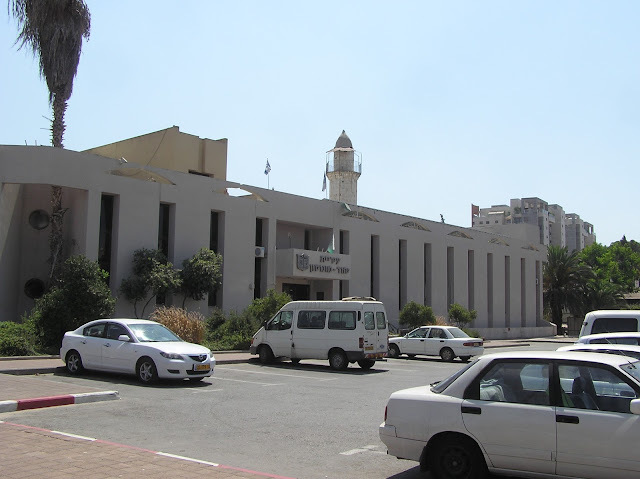 You can reach the mosque (it is located in the southern part of Kiryat Moshe) from Route 412, through Qiriyat Moshe, to Amnon ve-Tamar street. 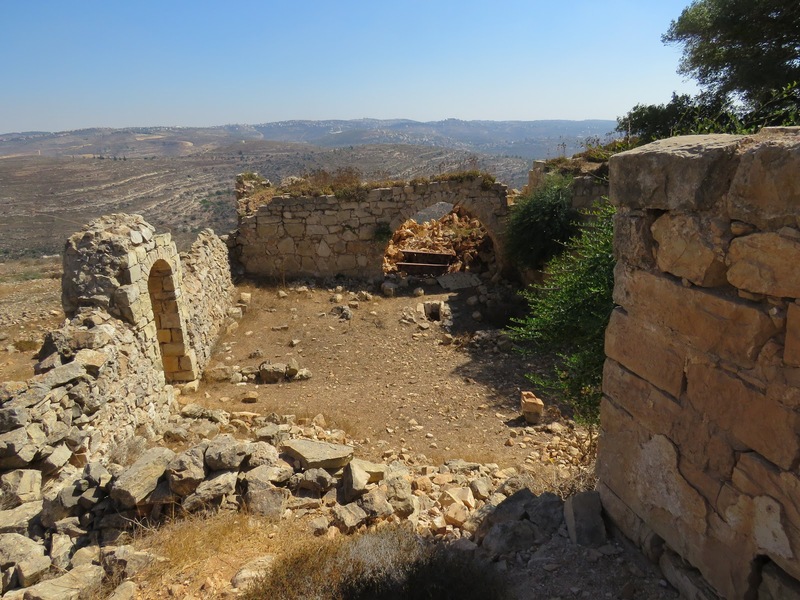 Usually Israelis founded their settlements aside, in the vicinity of or even close to former Palestinian villages abandoned by their inhabitants. 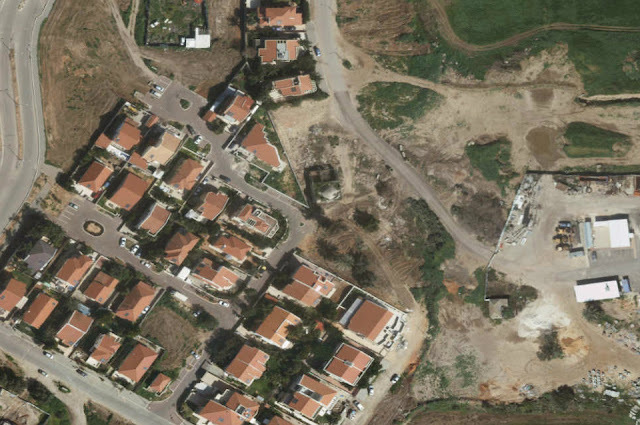 And only in rare cases Israeli settlements appears in the place and instead of Arab villages. The latter include Zekharia moshav. 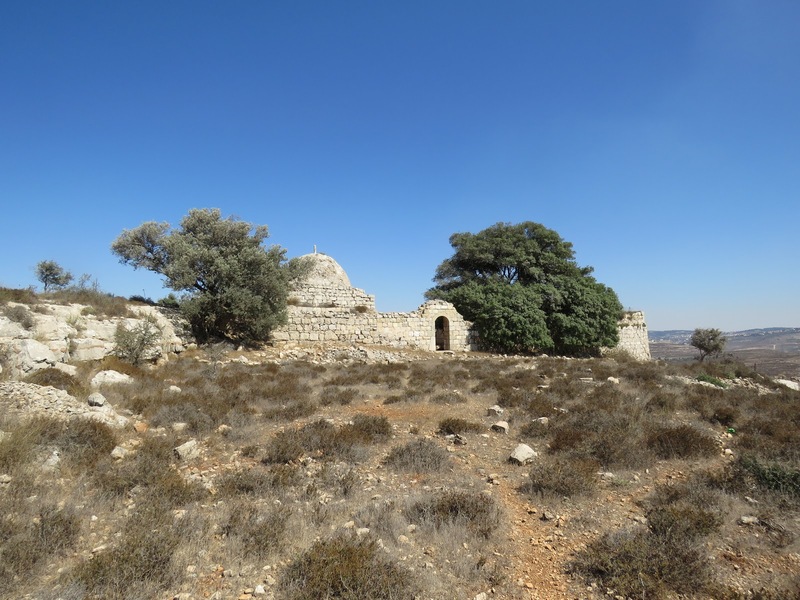 It is located in the place of a former Palestinian village Zakariya and inherited its name. 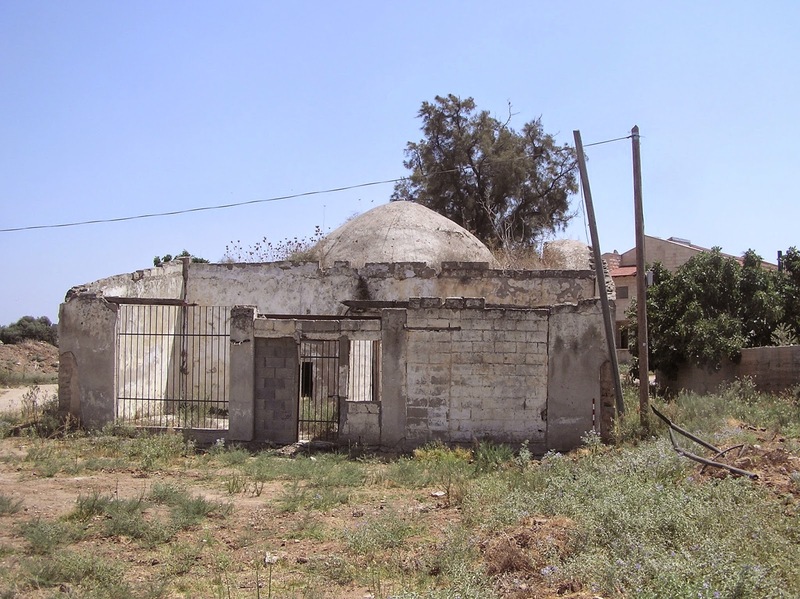 Only a rural mosque standing in the middle of present moshav has survived from former Palestinian buildings. The following picture came into the view of A. Petersen in 1993: “The mosque consists of a large prayer hall with a square minaret attached to the centre of the east side. 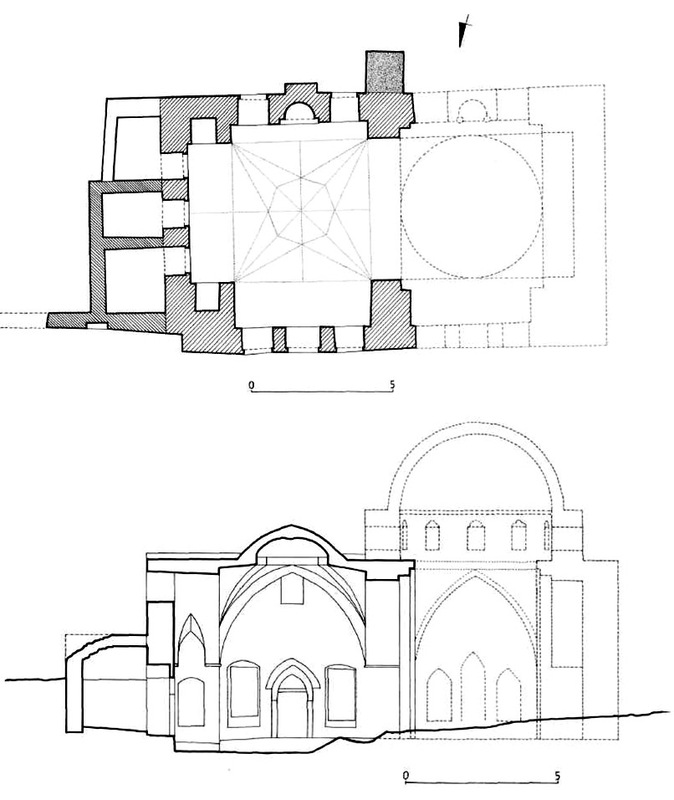 The prayer hall forms a large rectangle (20 m north-south x 10 m east-west) divided into six bays roofed by cross-vaults supported by two central piers and ten engaged piers. The entrance is in the centre of the west side. The north and east walls are each pierced by two windows, whilst the south wall has two blocked windows. There is a minbar next to the central pier in the south wall, although no traces of a mihrab can be seen. 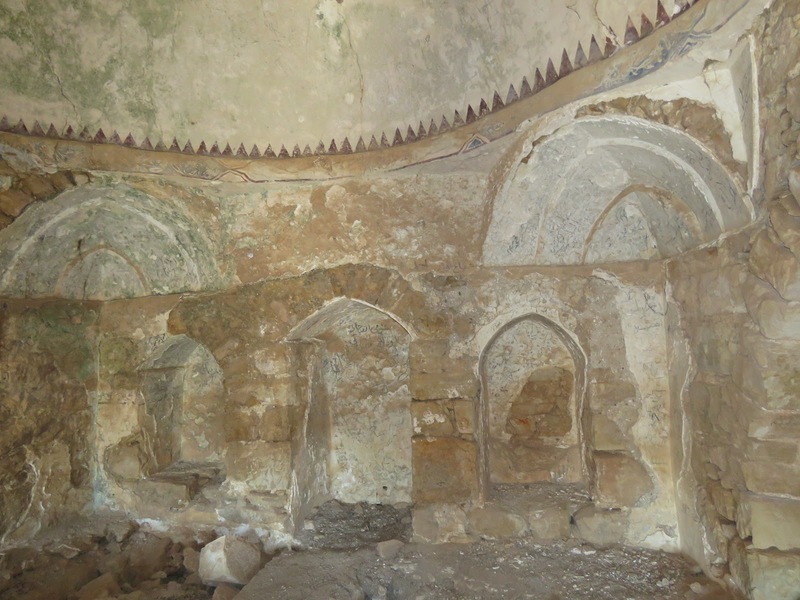 The two southern bays of the prayer hall appear to belong to an earlier phase (probably medieval). 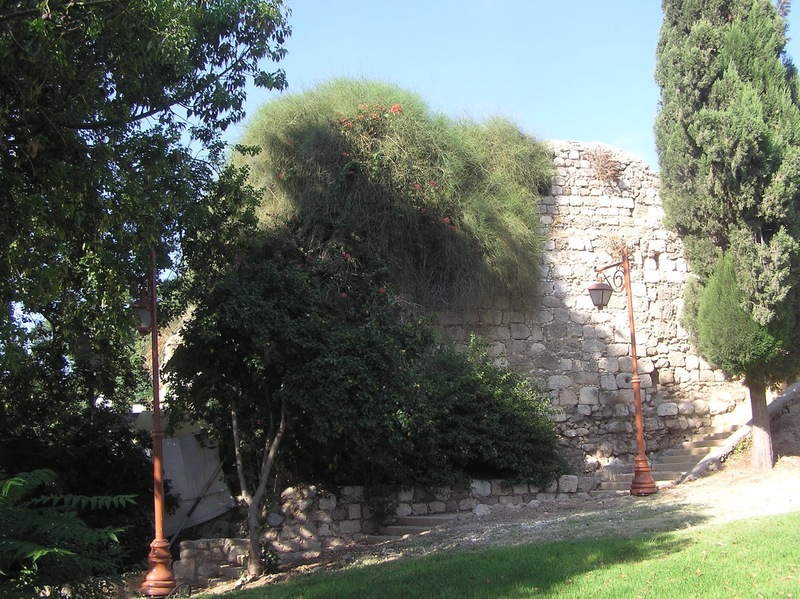 Approximately in the centre of the east wall is a doorway leading to the minaret. Inside the minaret is a spiral staircase lit by a small slit window. At the top of the tower is a small cylindrical domed kiosk opening on to a balcony. The balcony has a circular plan and overhangs the edges of the minaret. 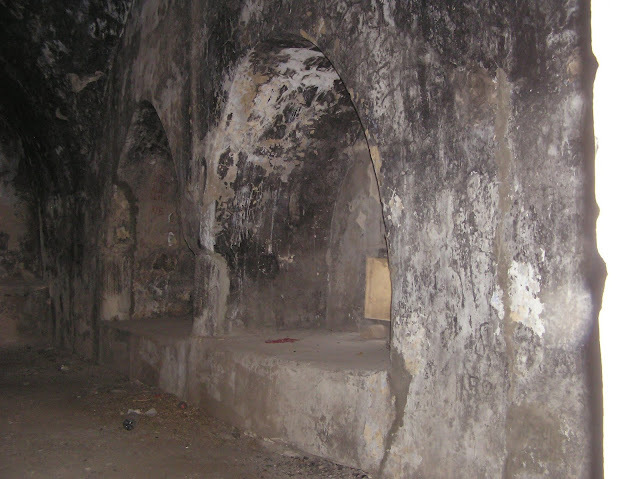 The shrine of Shaykh Hasan is built against the west wall of the mosque. 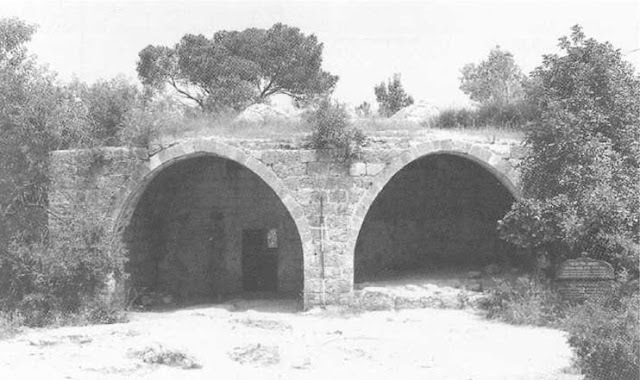 This is a square building roofed with a cross-vault supported by corner piers. The shrine is entered by a door in the north wall. In the centre of the south wall was the cenotaph of Shaykh Hasan (removed in recent times leaving the outline of the structure in the floor and the wall” (2001, 320). 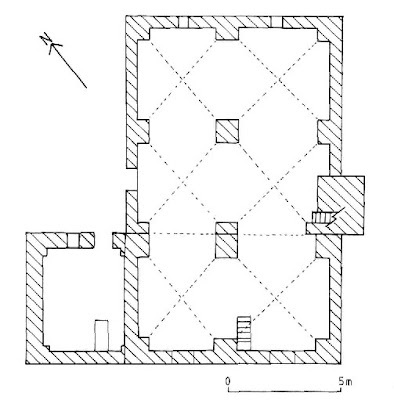 Plan of the mosque and maqam (from the book by A. Petersen). We made some specifications: a window close to an entrance into a burial room and also immured windows in a southern wall. At present the mosque is located in emergency condition. It is enclosed by a high fence, a plate hanging on it says: “Dangerous building. No entry.” The part of masonry collapses in the prayer tower foundation that is why a prayer tower may crash at any time. No attempts to save the building from destruction are being made. 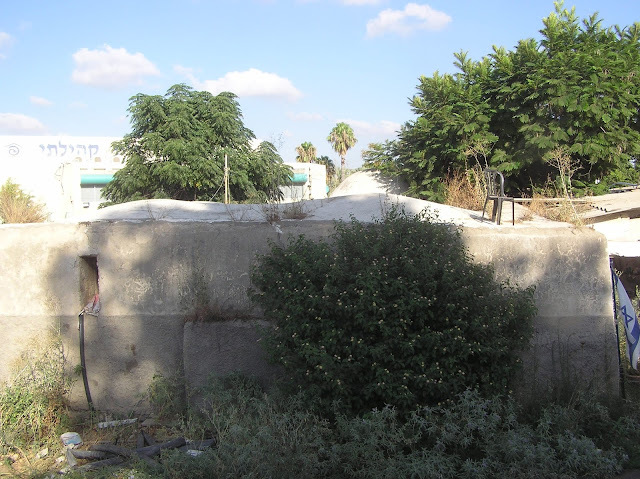 Abandoned agricultural machinery is dumped inside a mosque which testifies that for some time the mosque was used by moshav’s dwellers as a warehouse. In fact, there is no mihrab in a southern wall of the mosque but three steps remained as if leading to a minbar which existed some time ago. 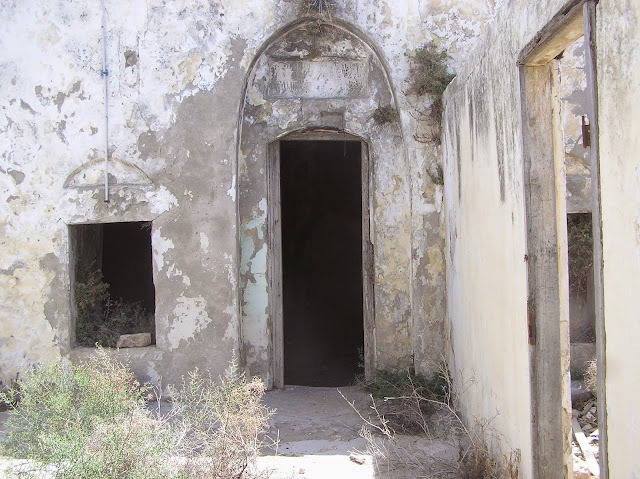 An entrance to room adjoining the mosque from the west is completely immured, it seems impossible to check whether this room is a maqam in which sheikh Hasan was buried. 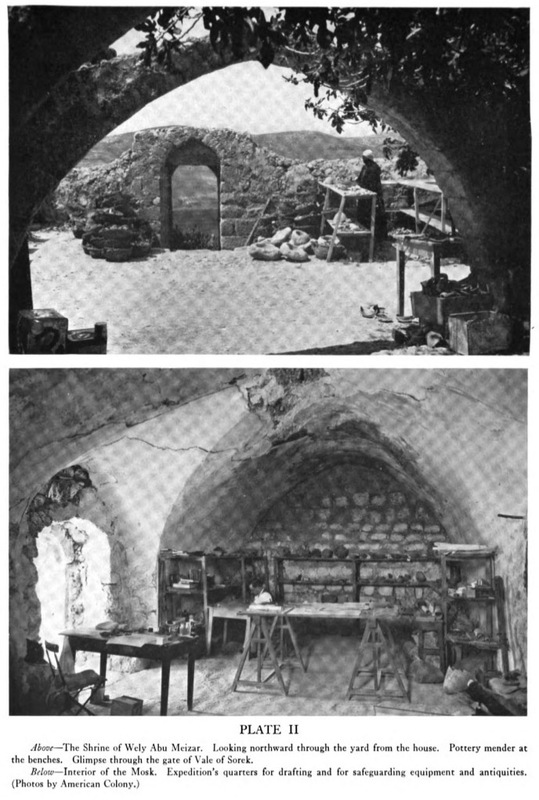 A. Petersen identified the tomb of this sheikh or wely Neby Zakariya mentioned by V. Guérin (Judee II 371). However, Guérin does not tell that wely Neby Zakariya adjoins the mosque. 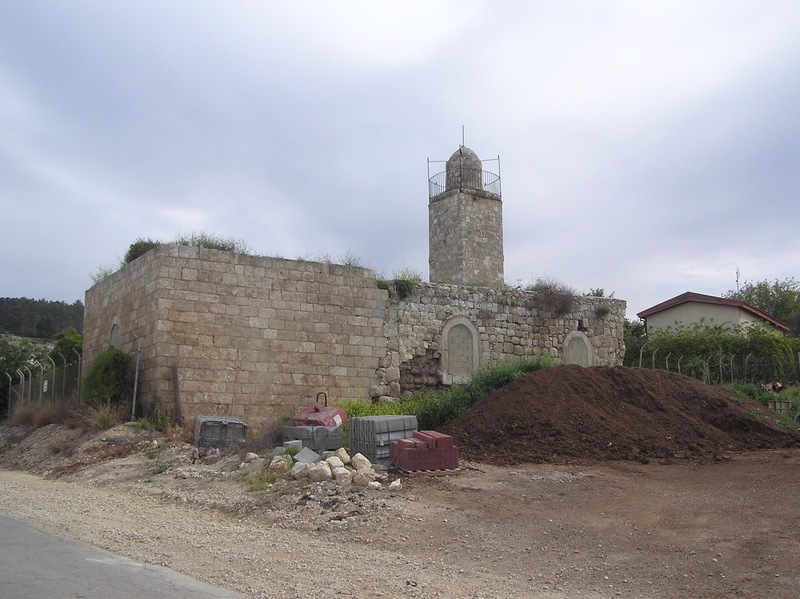 In general, authors of 19th century do not tell about a mosque in Zakariya village. C. Conder also tells briefly: “There is a Mukam in the present village sacred to Neby Zakariya.” (SWP III 27) We have already encountered on a number of occasions with such cases when early European travelers noted some single maqam and after that at the end of 19th or in the beginning of 20th century a mosque was built near this maqam. Many muslim artifacts have been destroyed by the jews in Israel, these are just the few, that have been some how marked and not turn into ashes, pretty sure they will be gone soon as well.